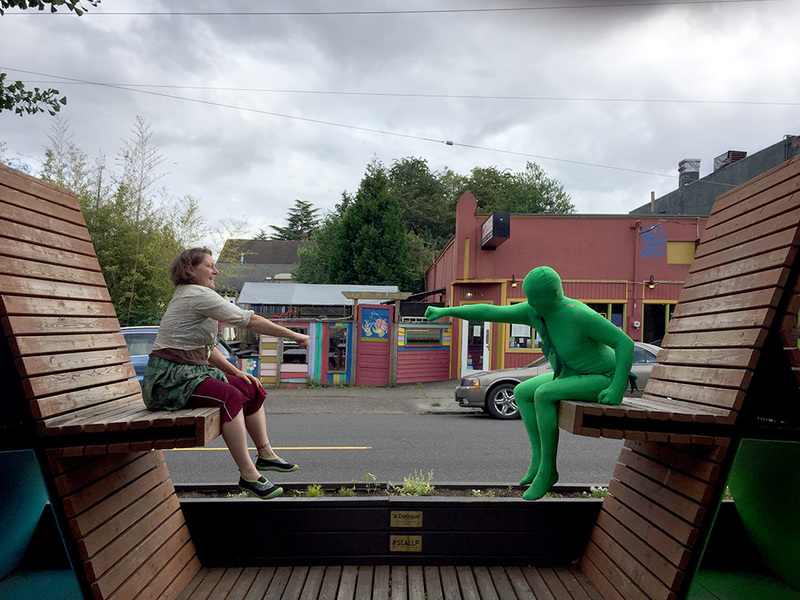 This participatory photography project infuses embodied creativity into the greening of our cities. 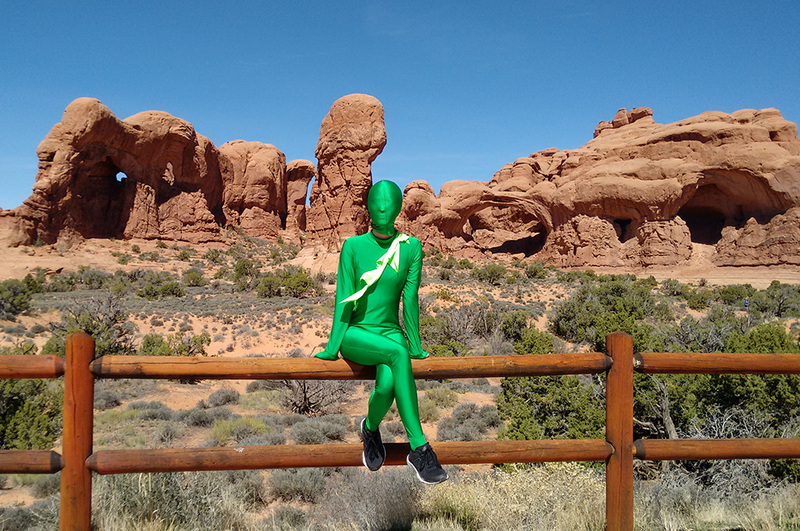 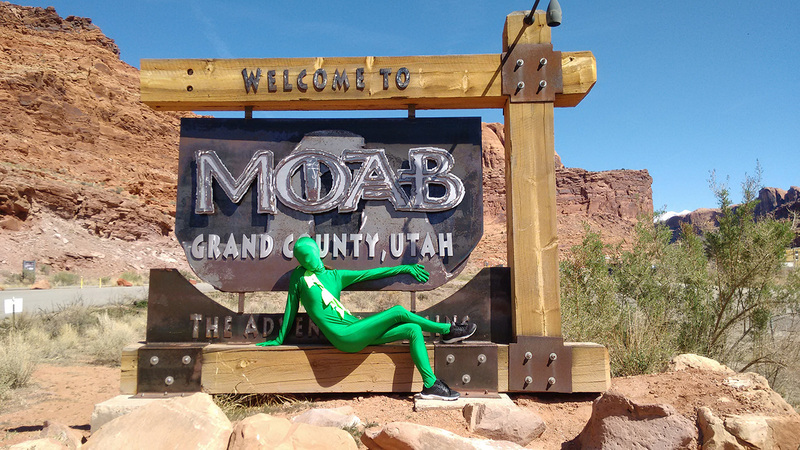 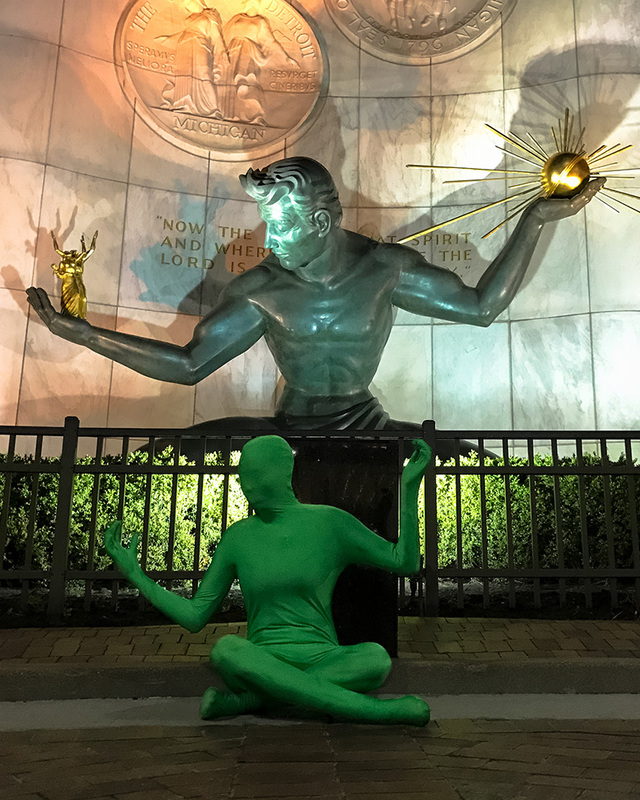 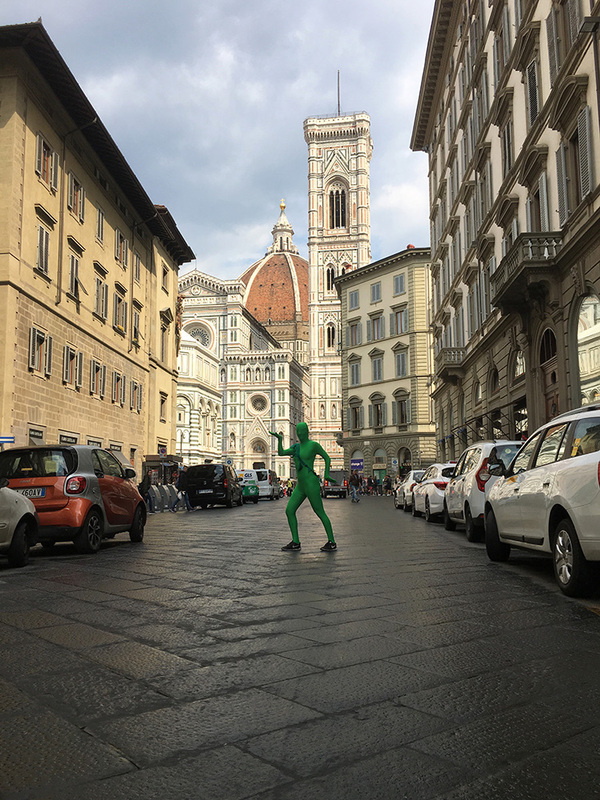 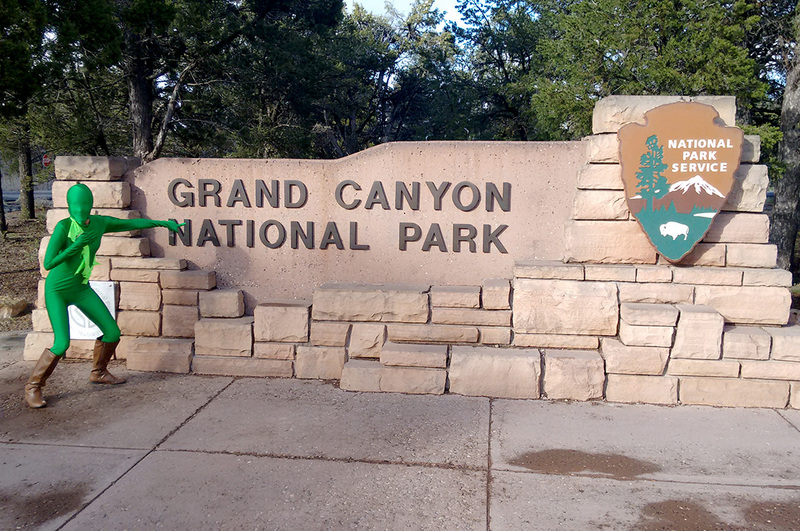 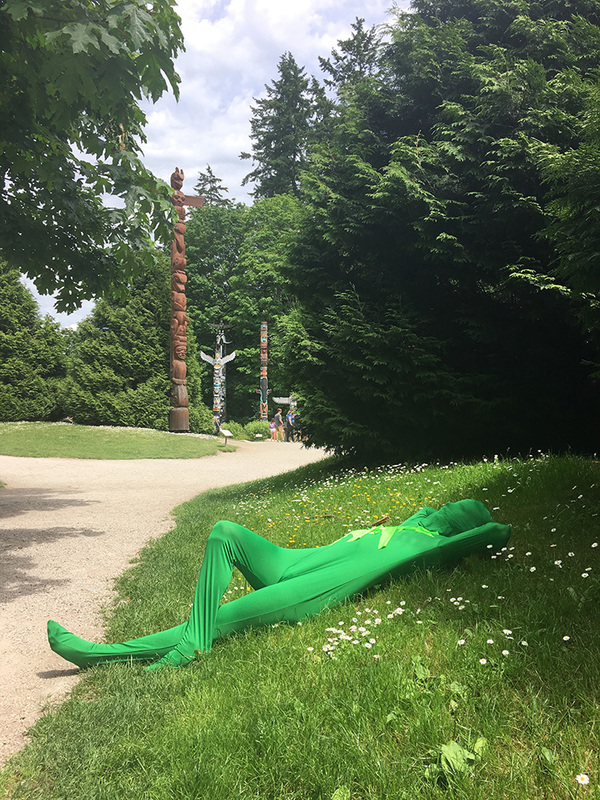 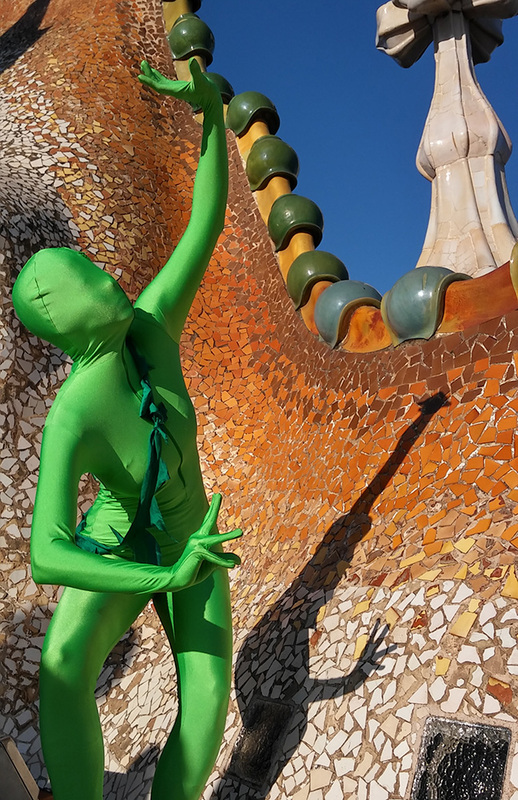 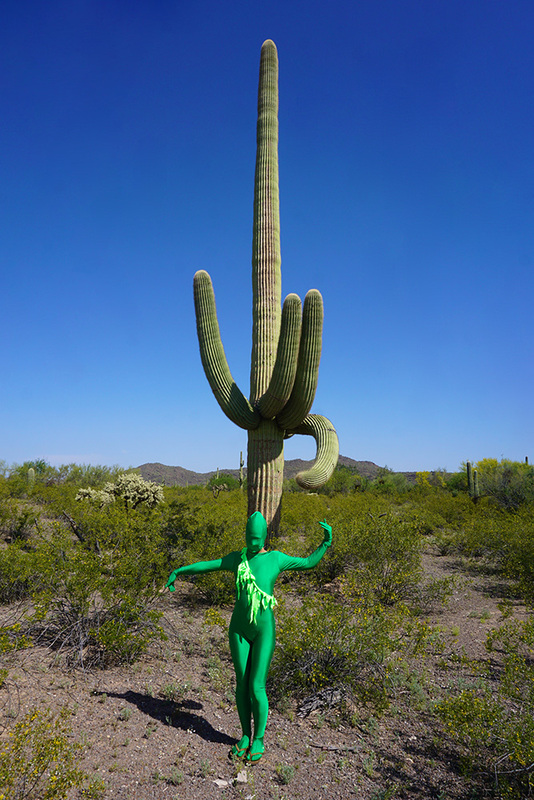 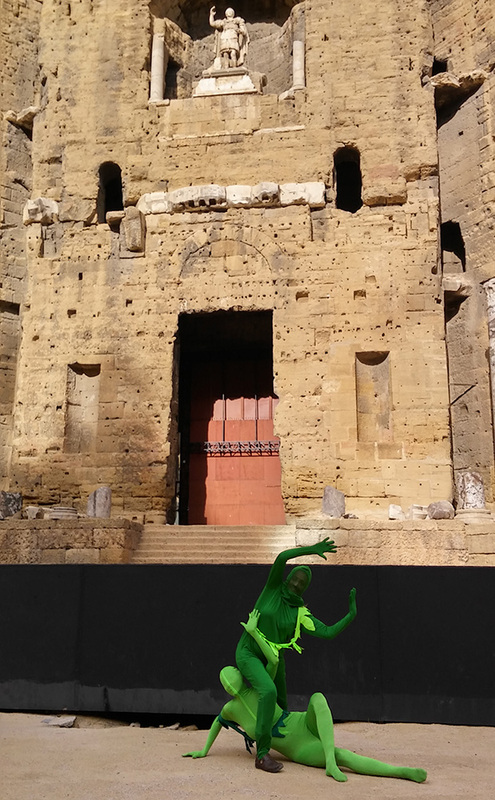 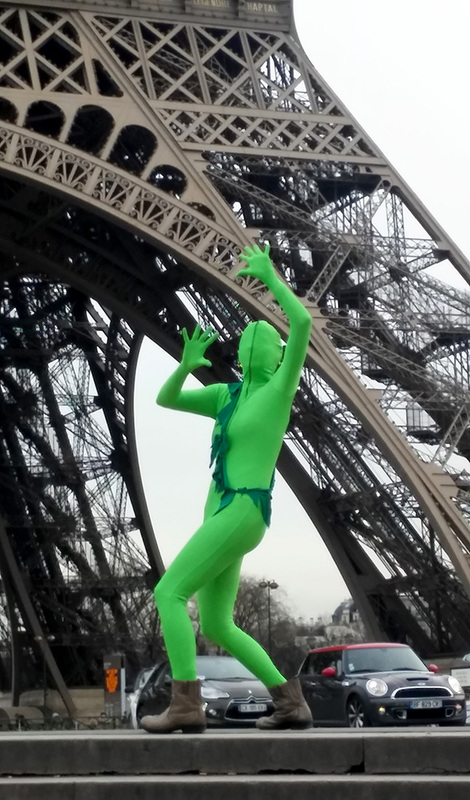 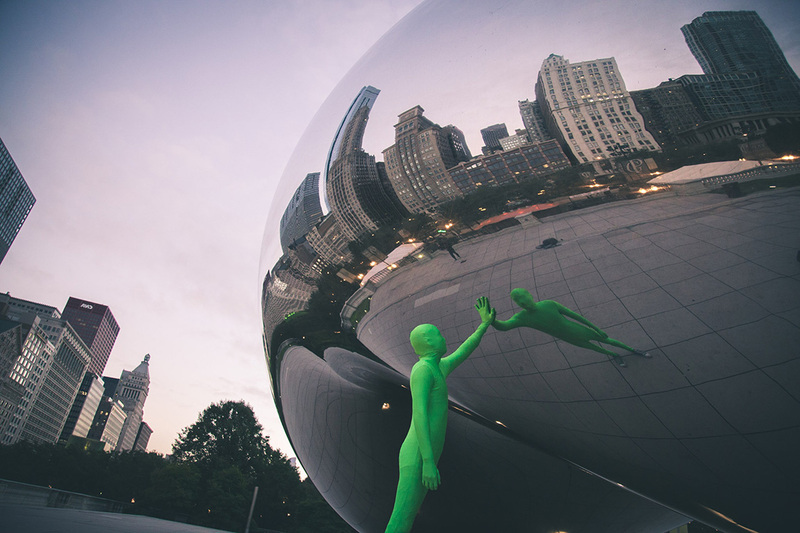 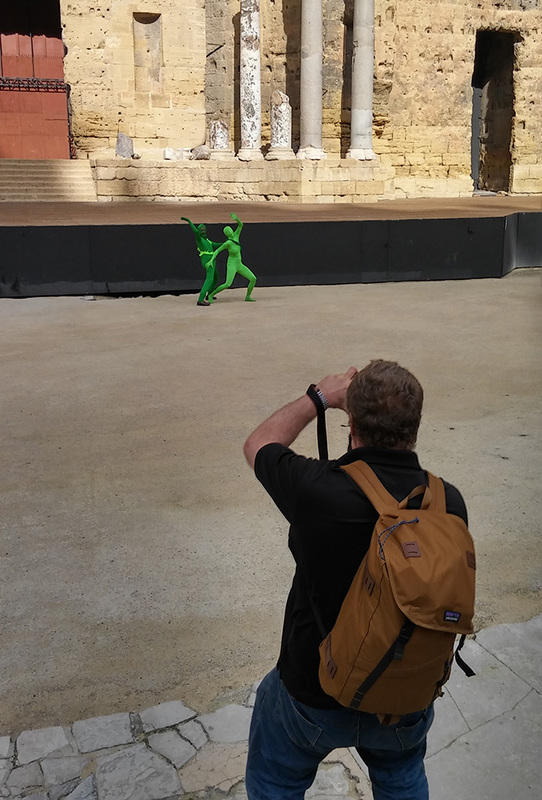 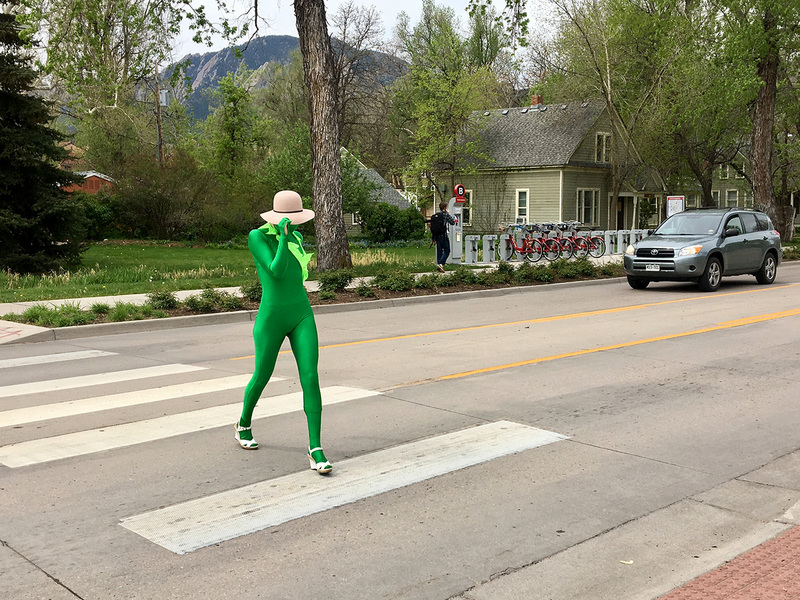 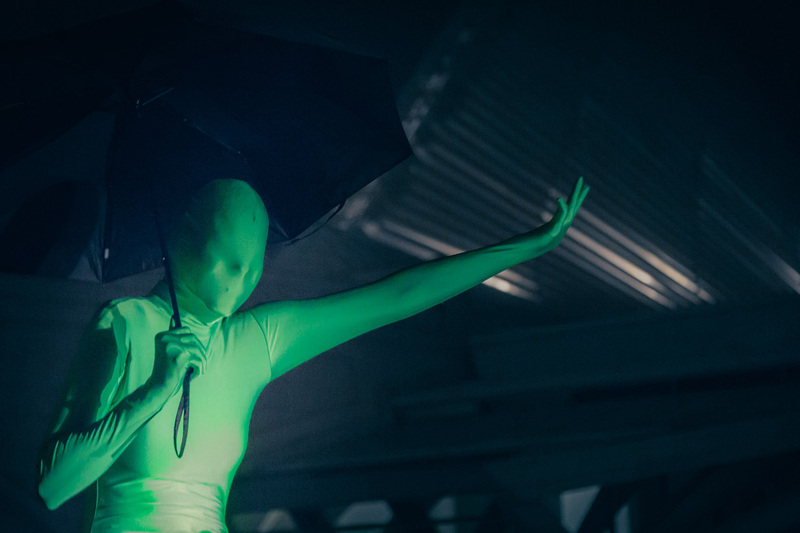 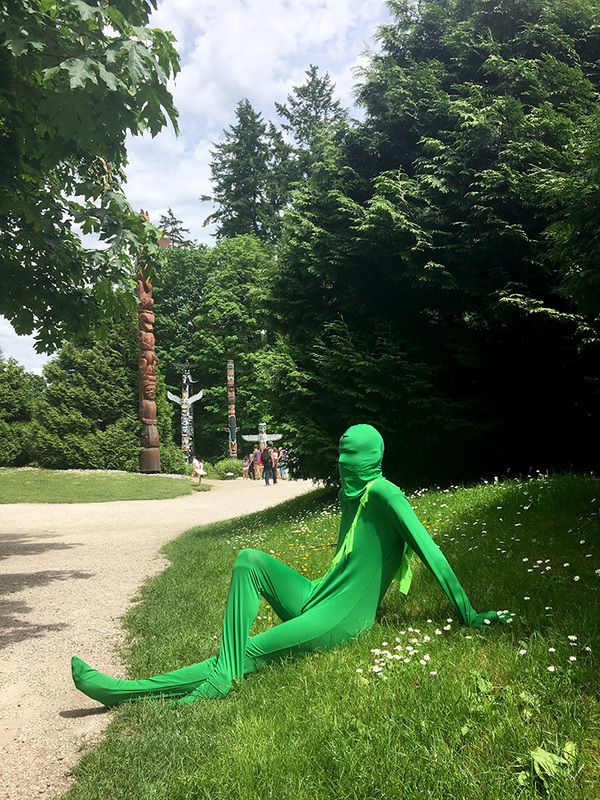 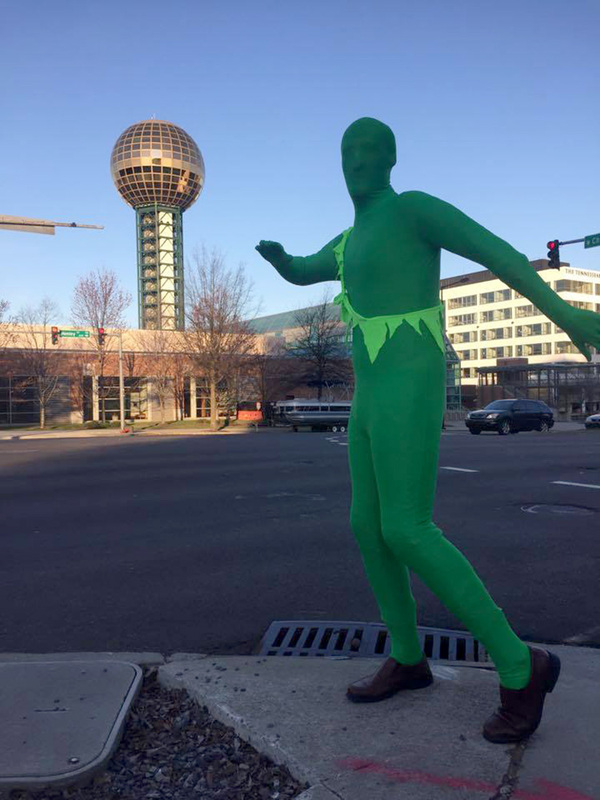 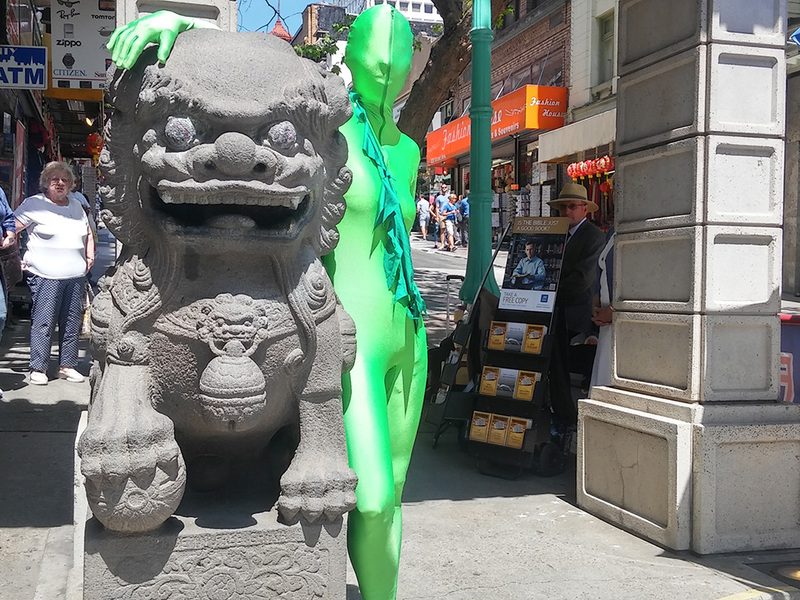 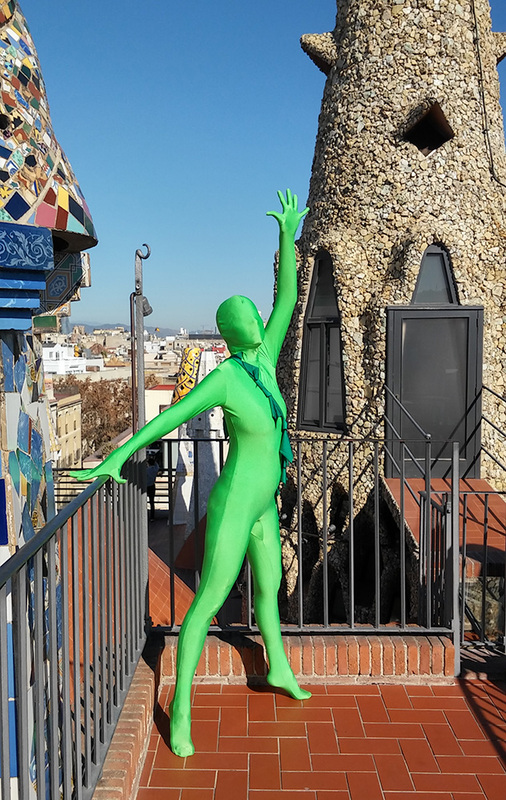 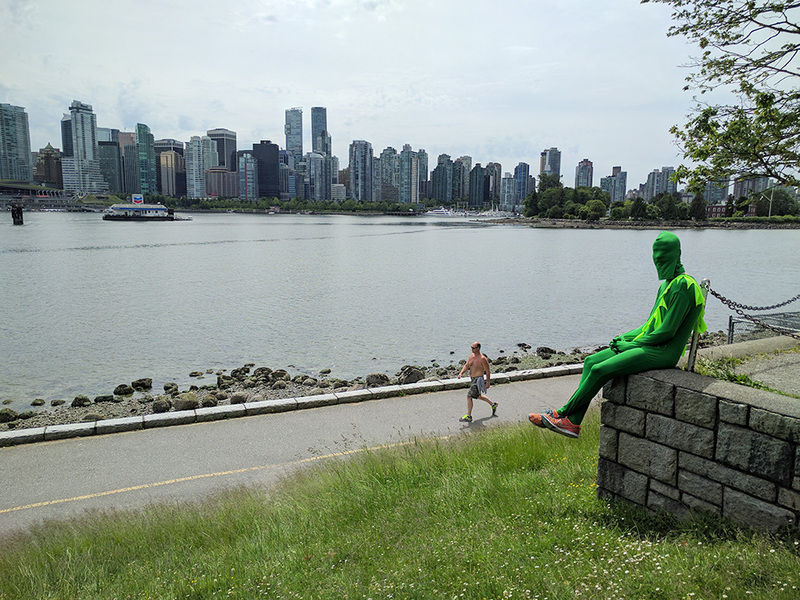 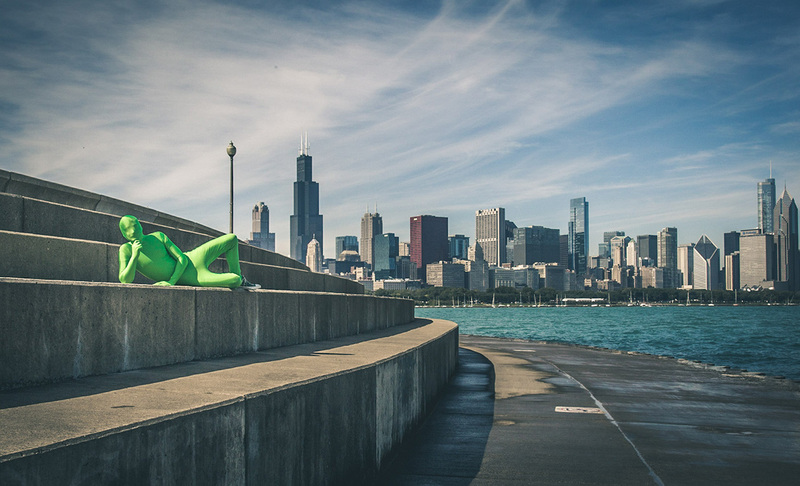 As part of this exhibit, all are invited to check out a green suit with a leafy sash and submit a photograph of themselves or a friend in some iconic place in their city or any city. 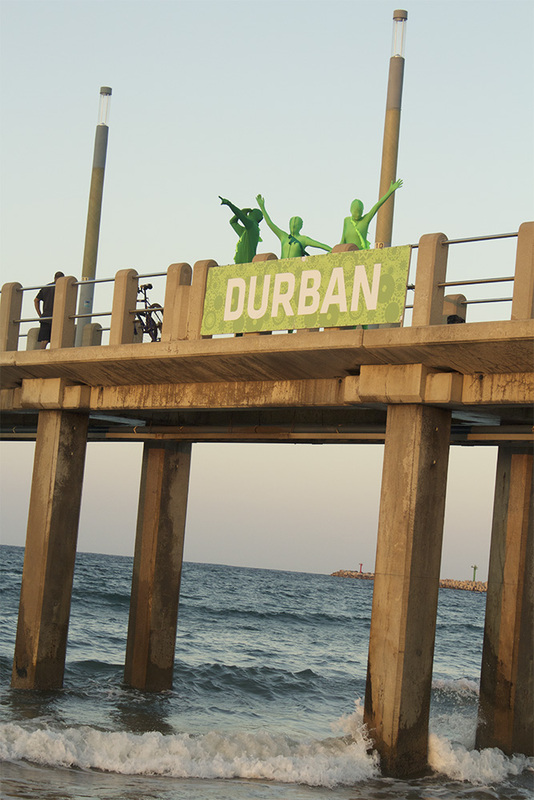 This interactive project is design to engage the participation of a wider constituency in the greening of our cities. 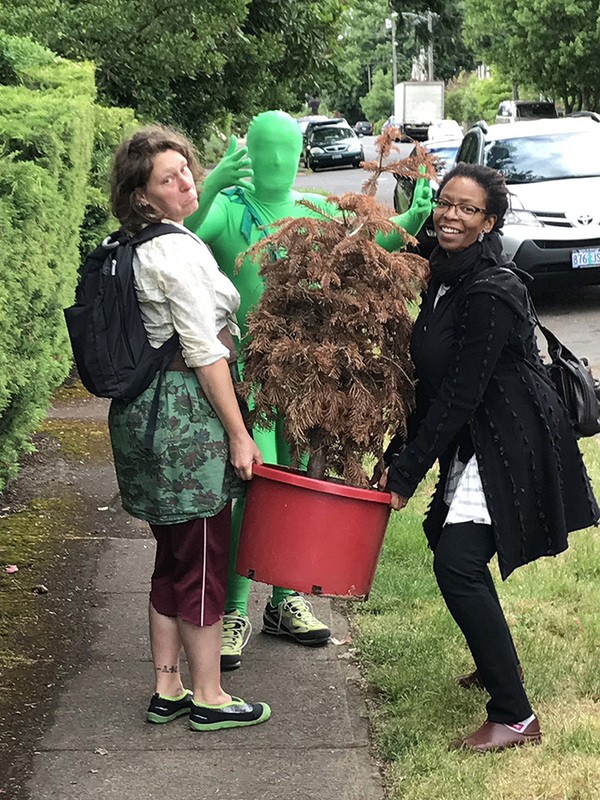 Placing actual bodies in service of this vision marks the commitment to joyful acts that will inspire action on behalf of environmental resilience. 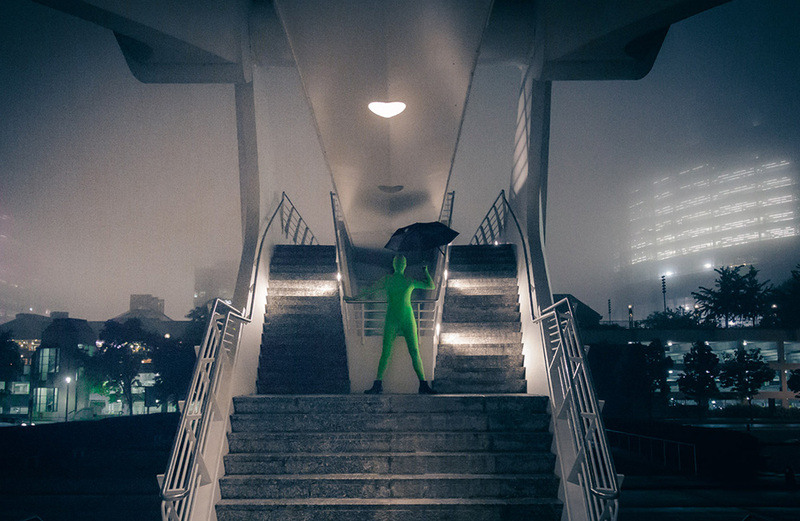 Sometimes it takes a literal representation of an idea to make it real. 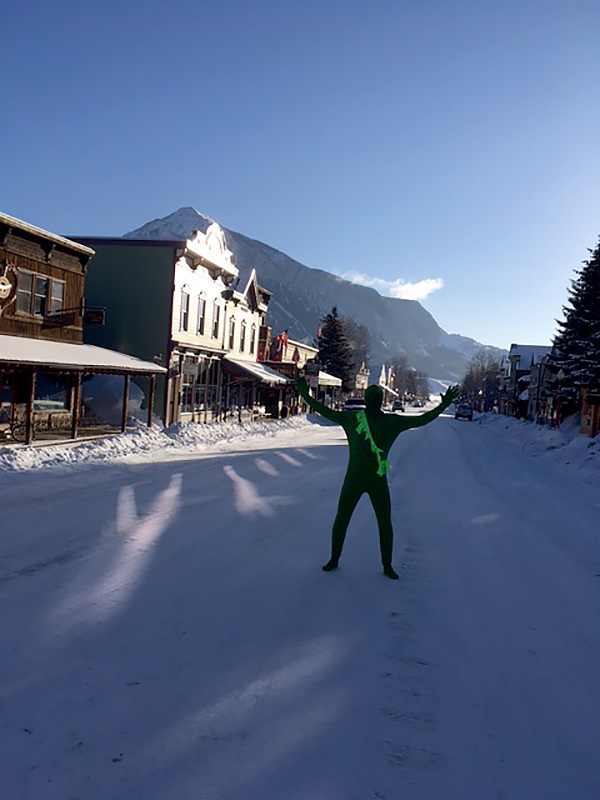 Both the process of taking the photos and the photographs themselves spark conversation, and are a part of my ongoing effort to infuse embodied fun and broad engagement in resilience planning. 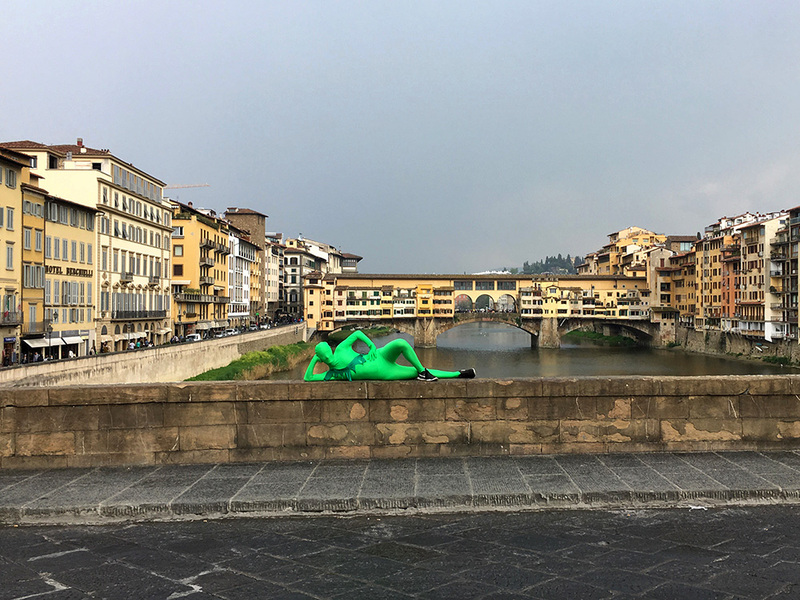 View the Google Map of our ever-growing collection of photographs from around the world. 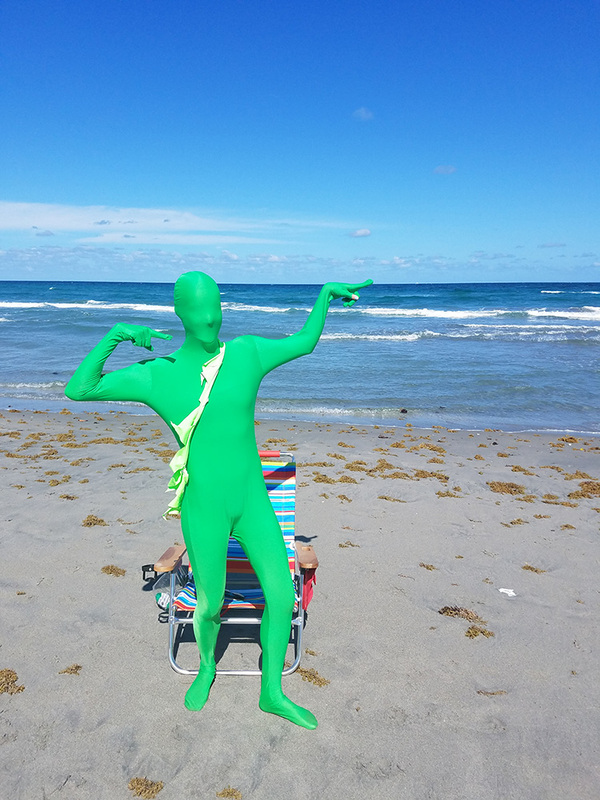 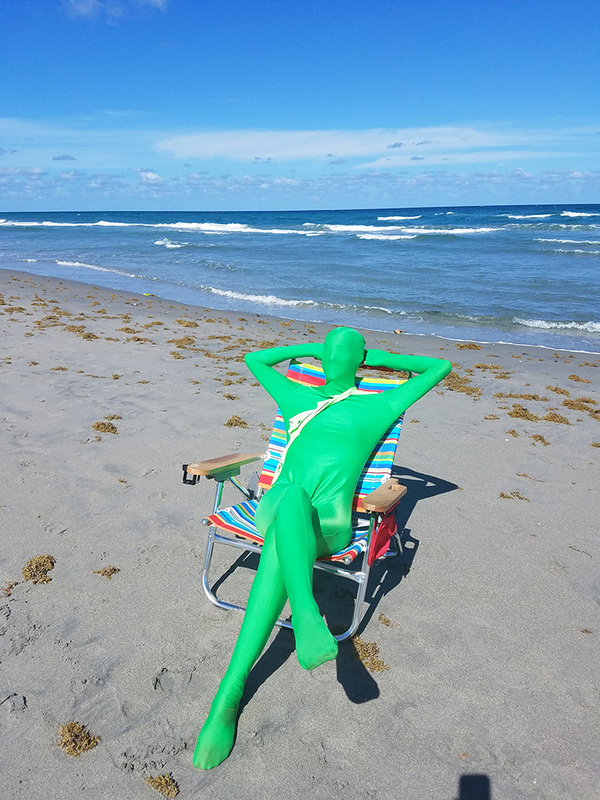 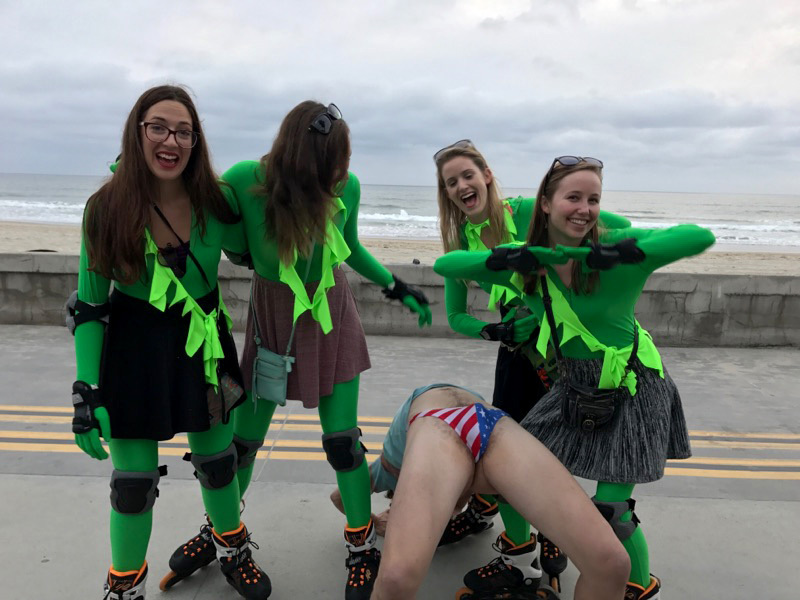 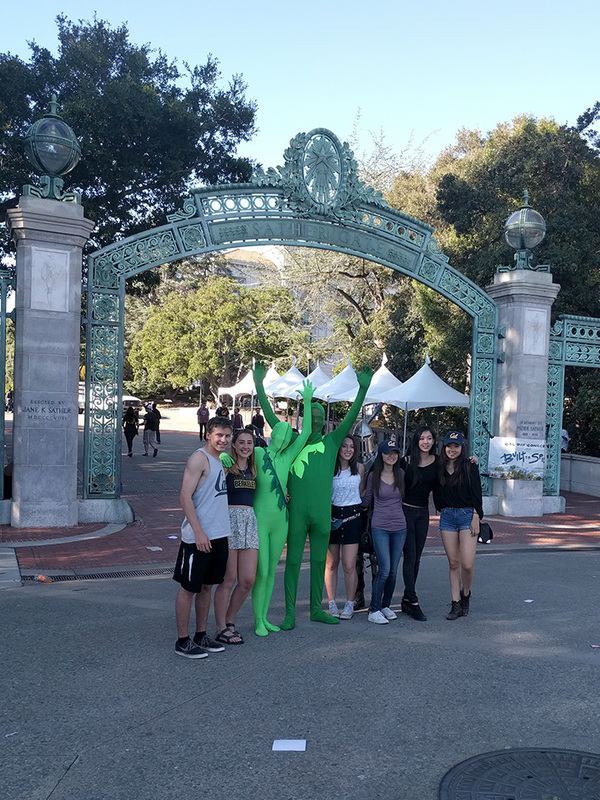 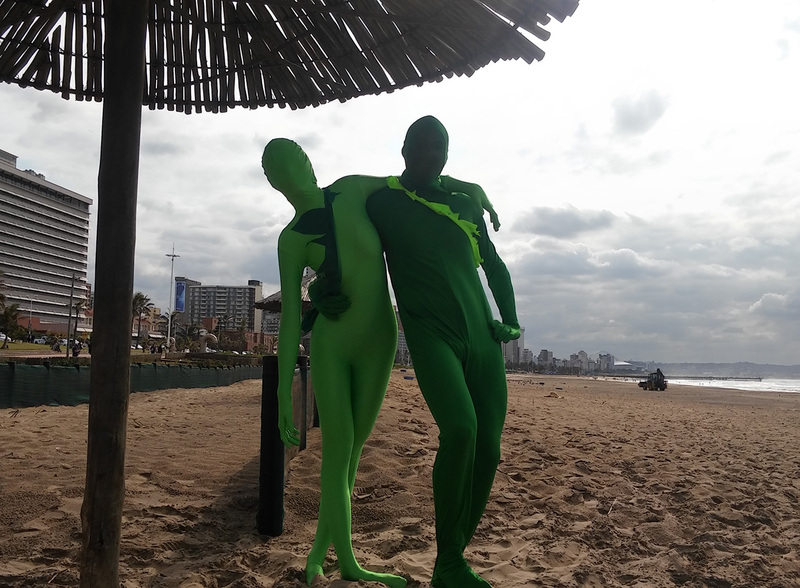 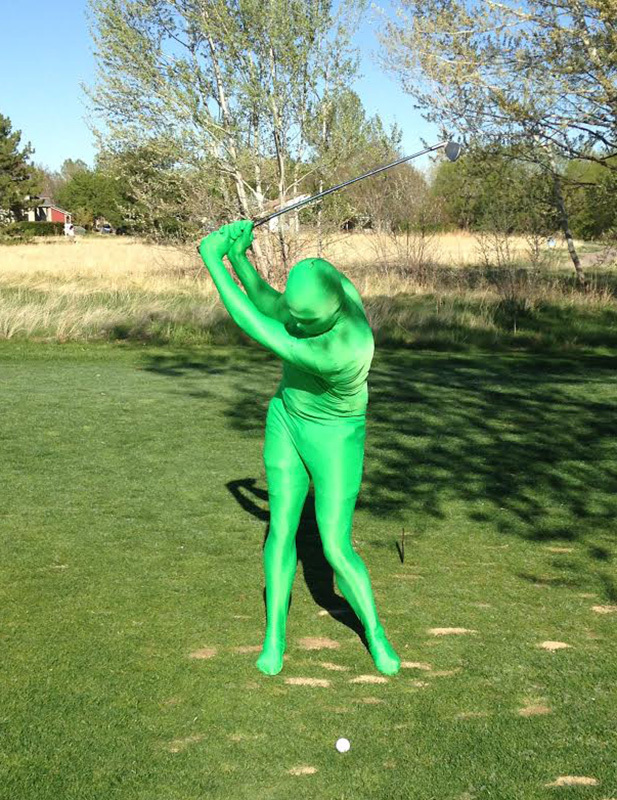 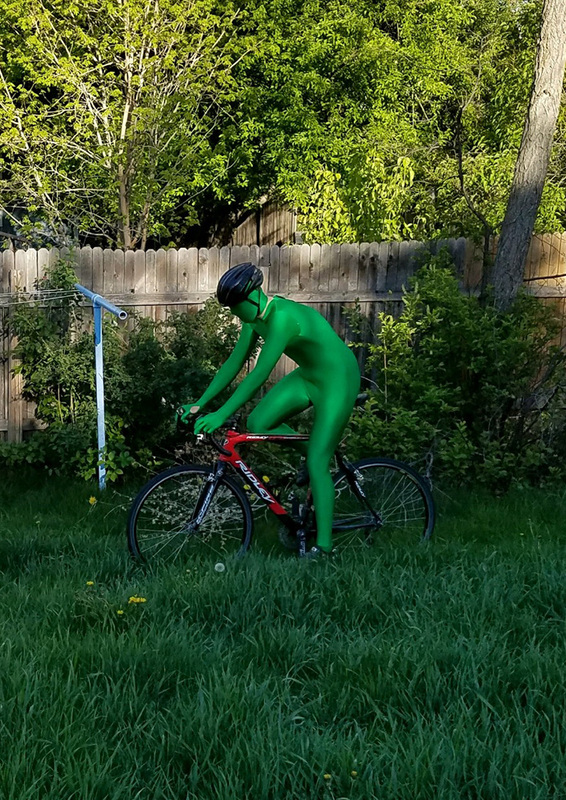 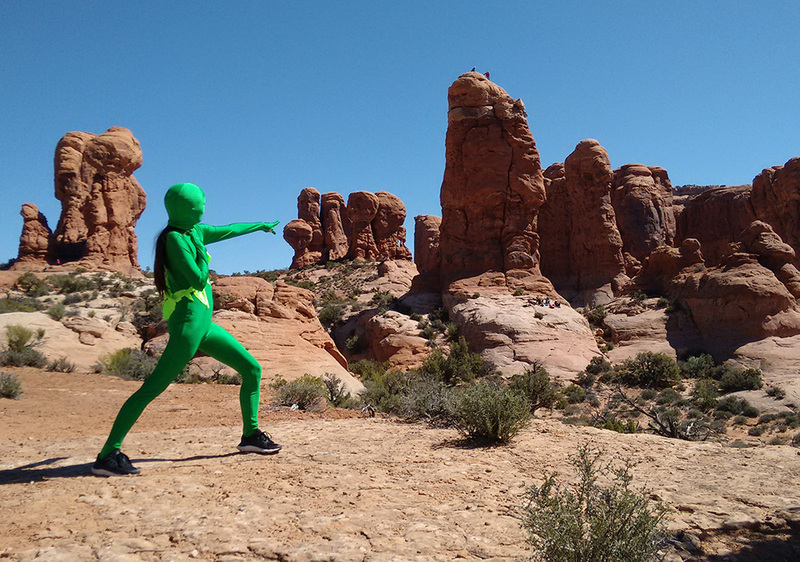 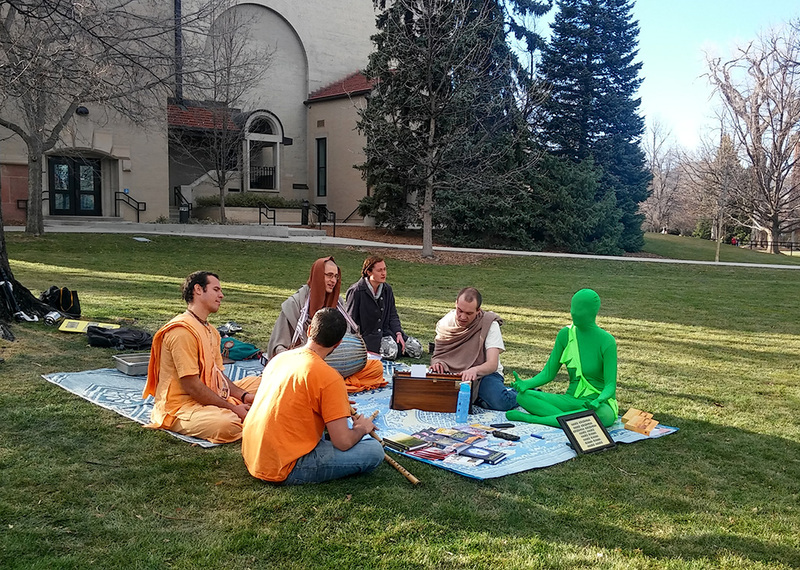 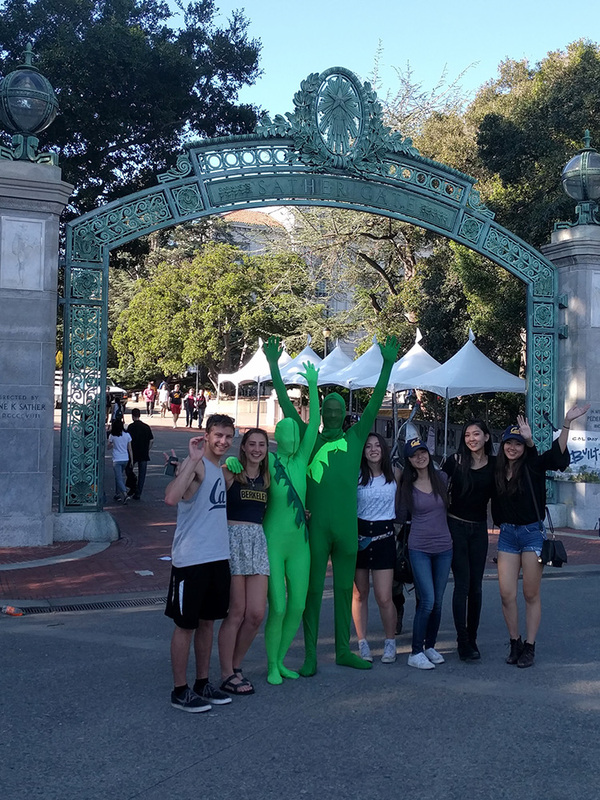 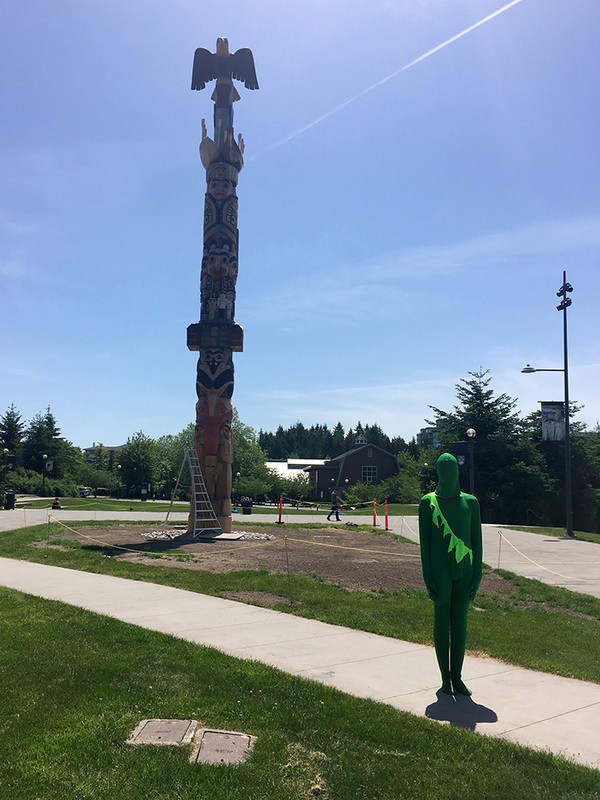 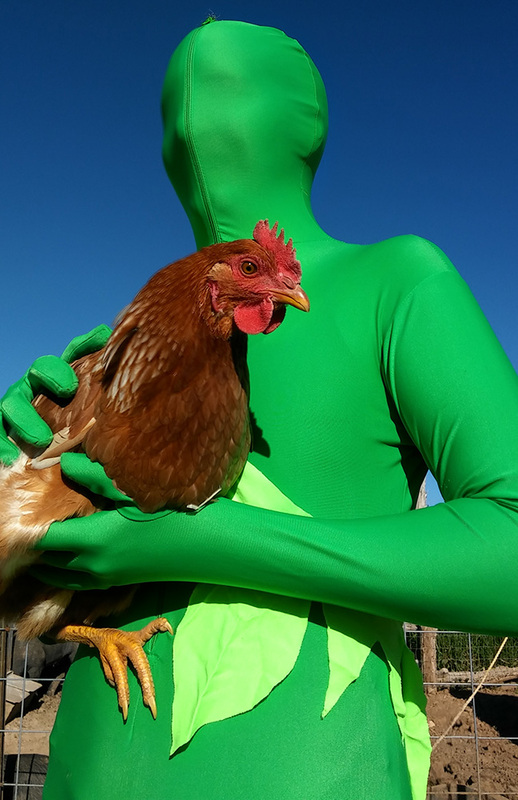 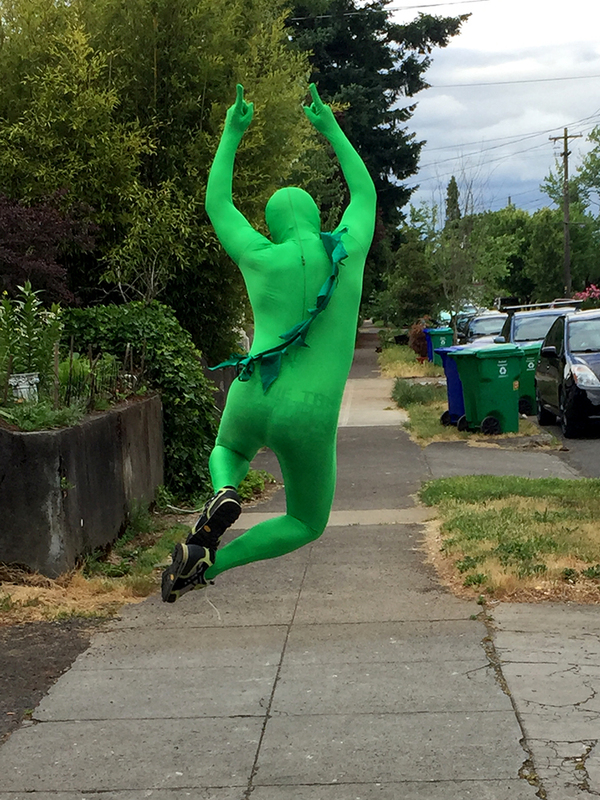 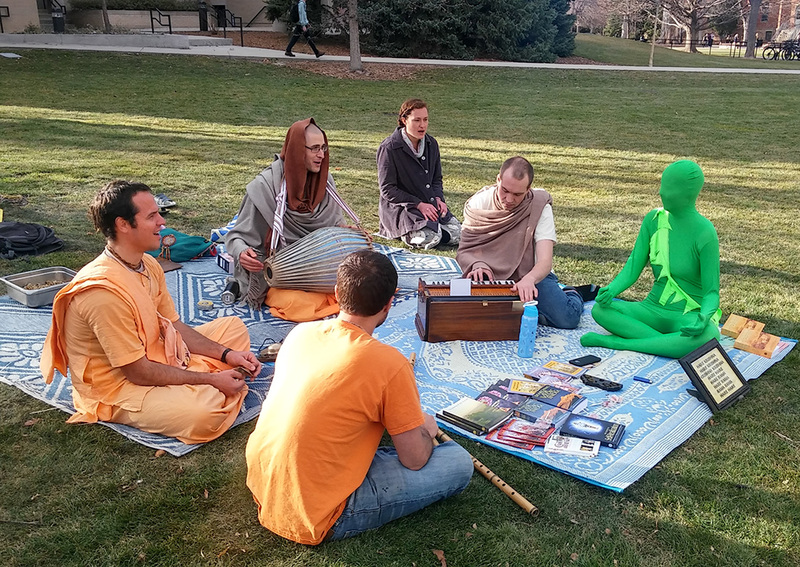 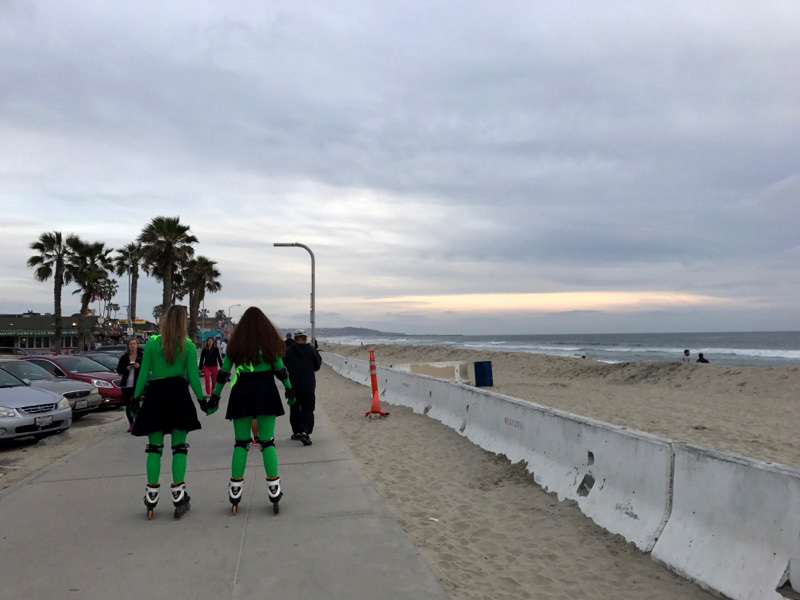 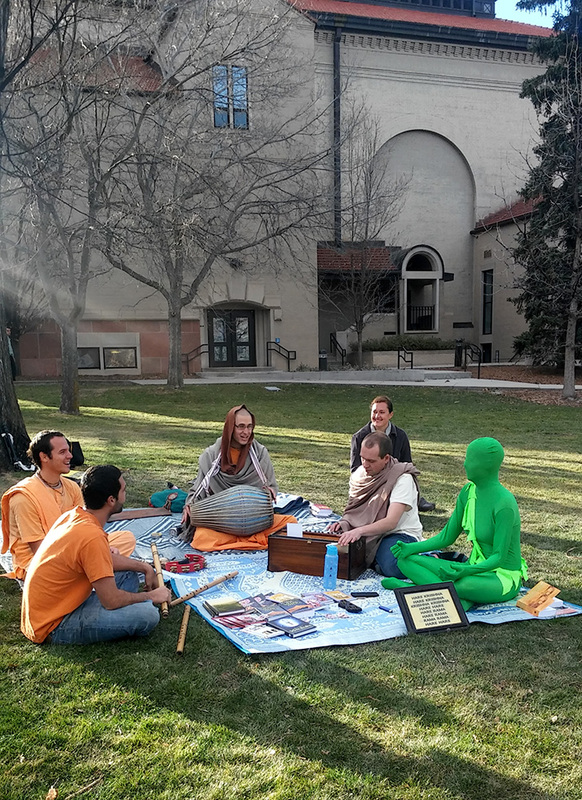 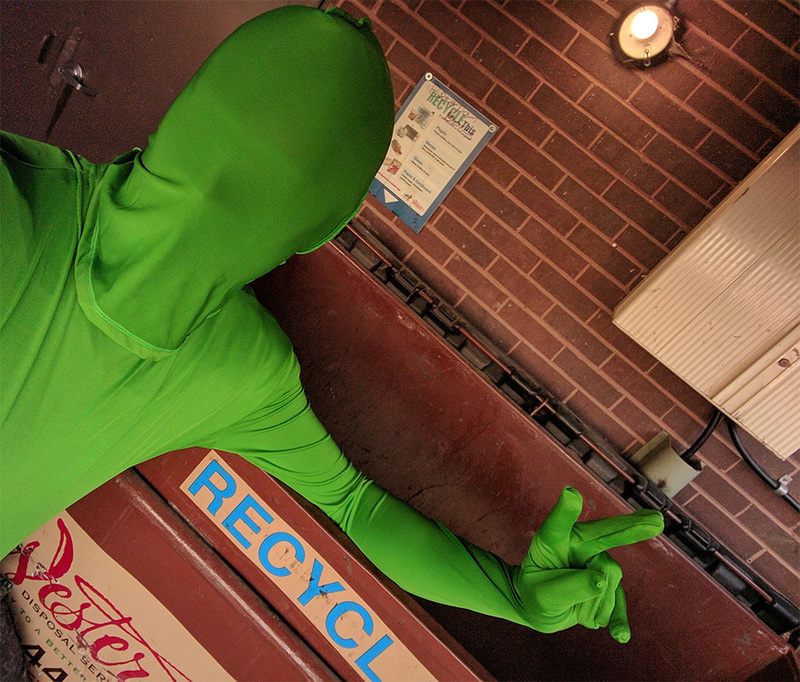 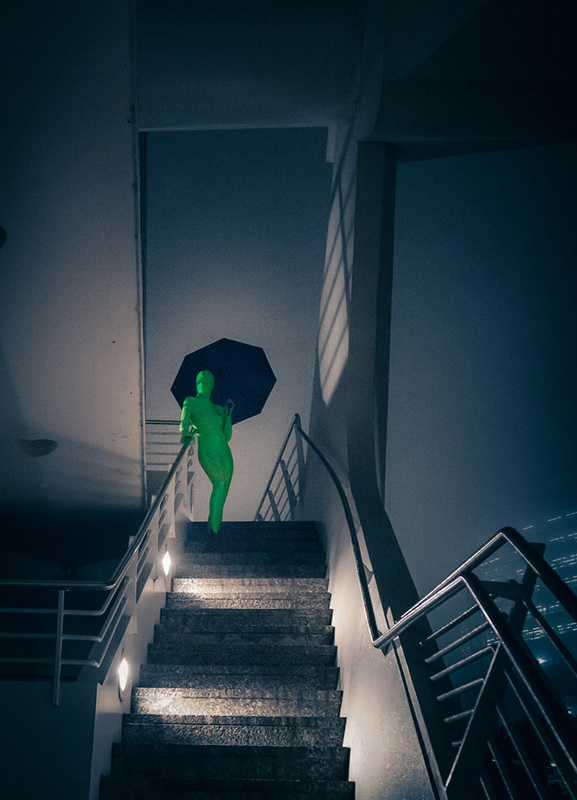 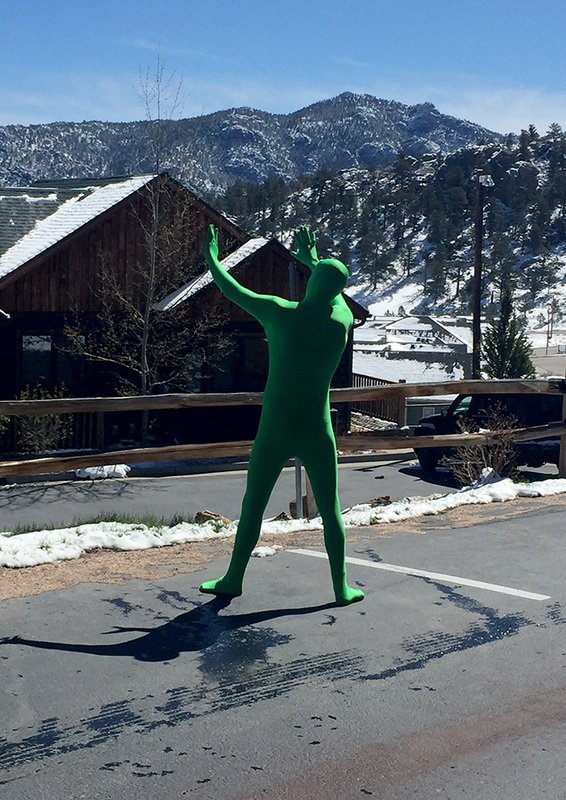 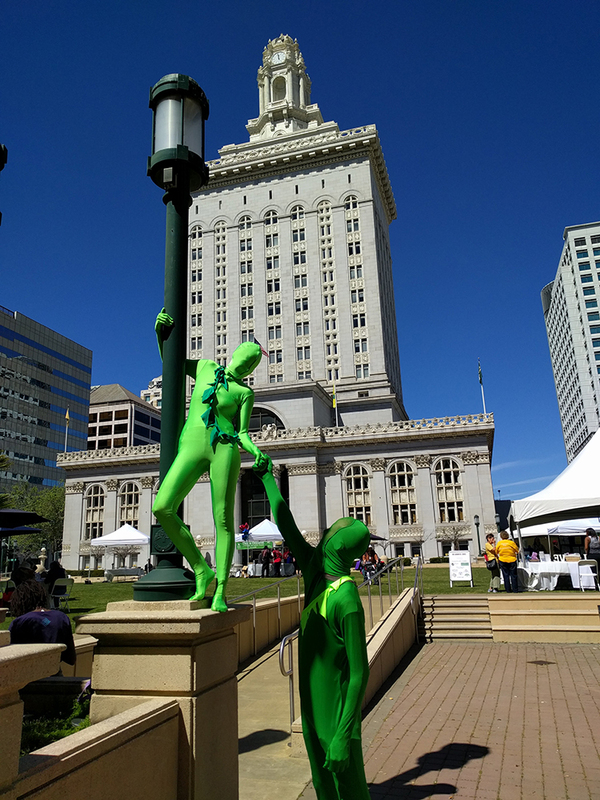 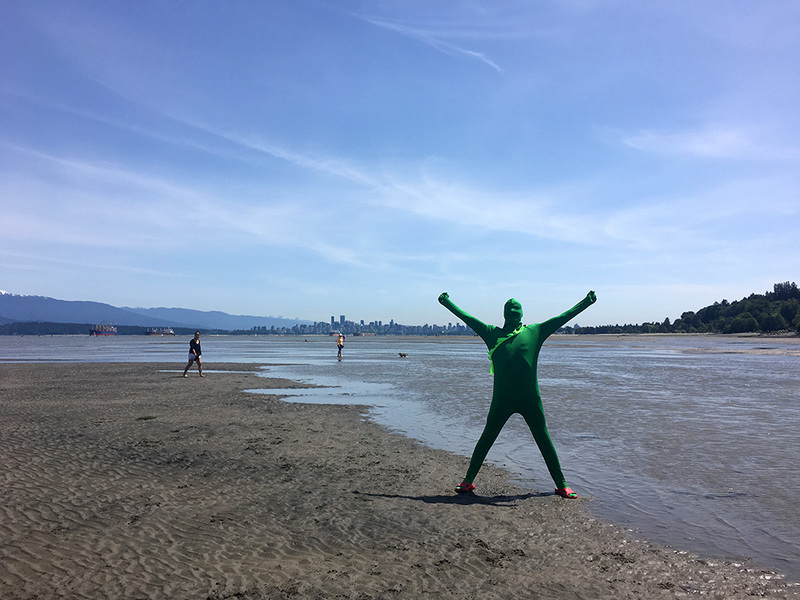 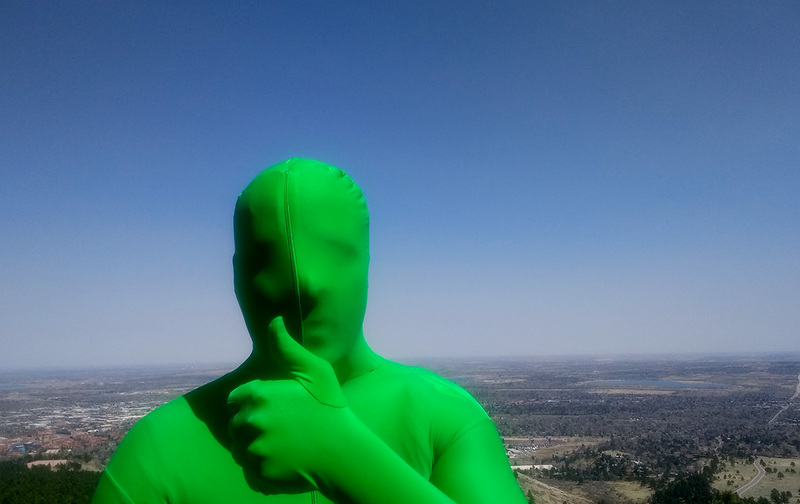 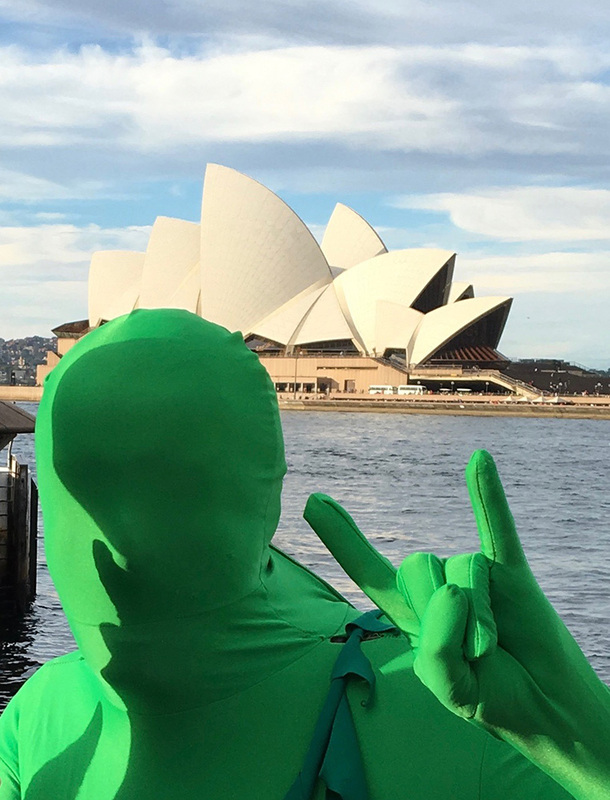 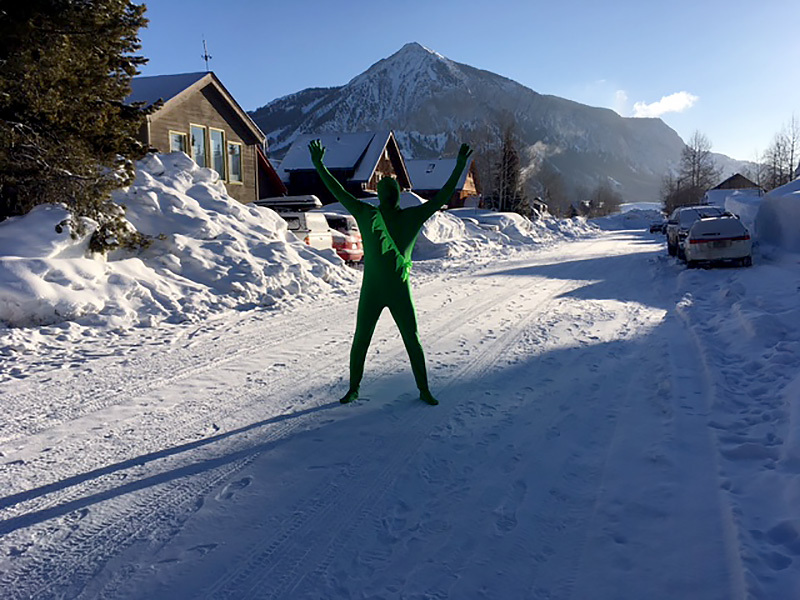 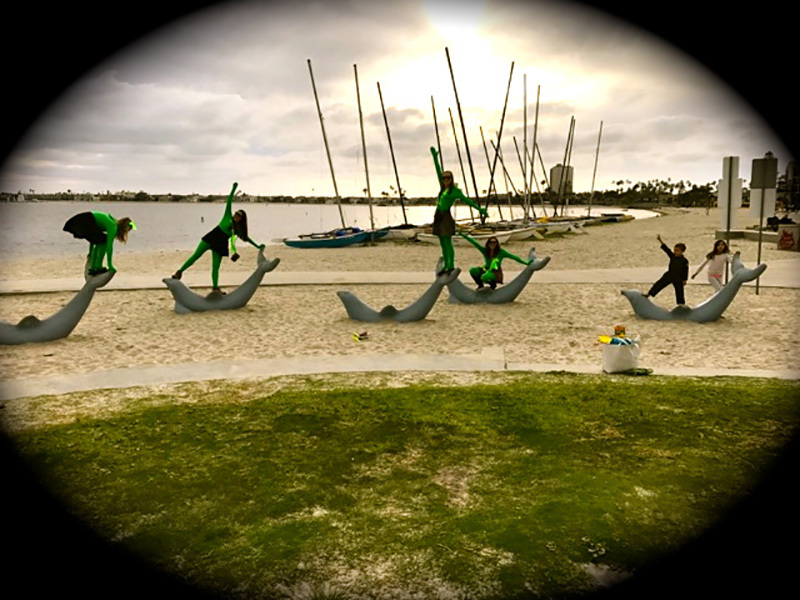 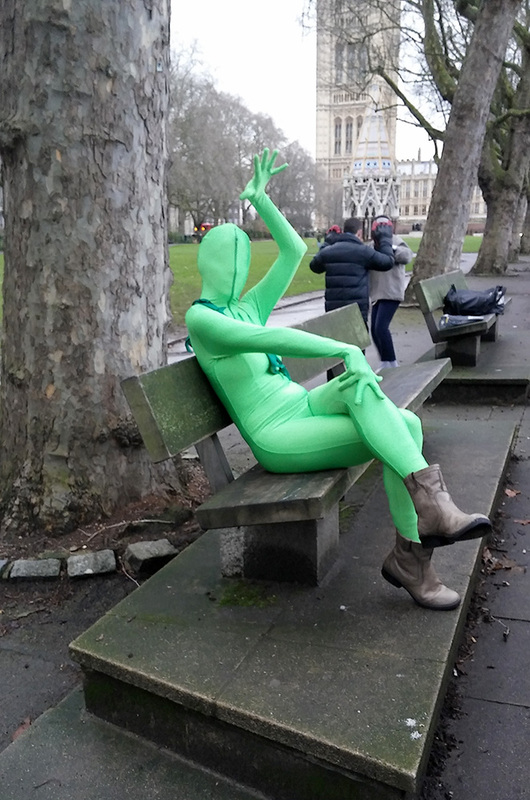 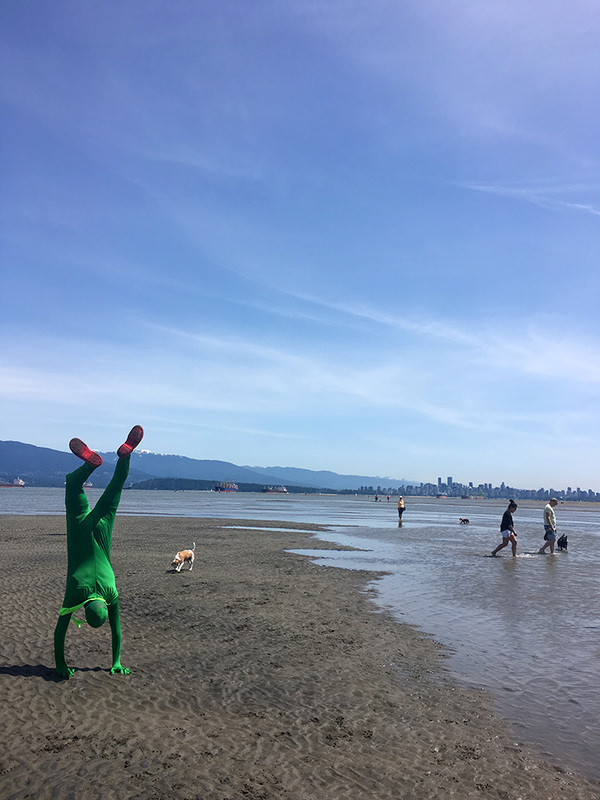 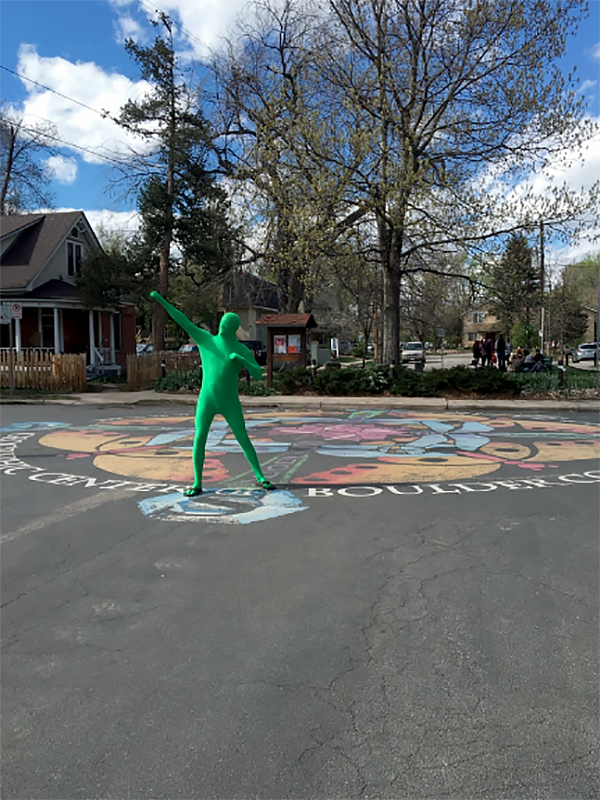 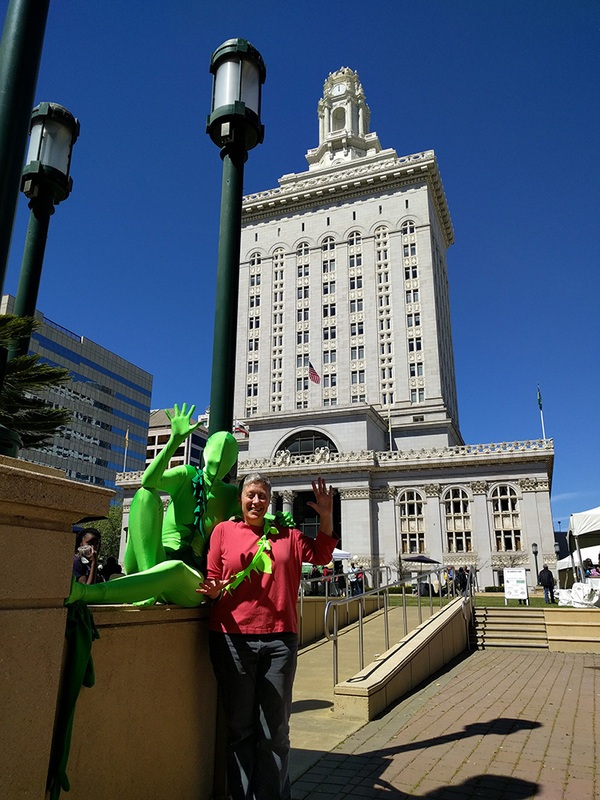 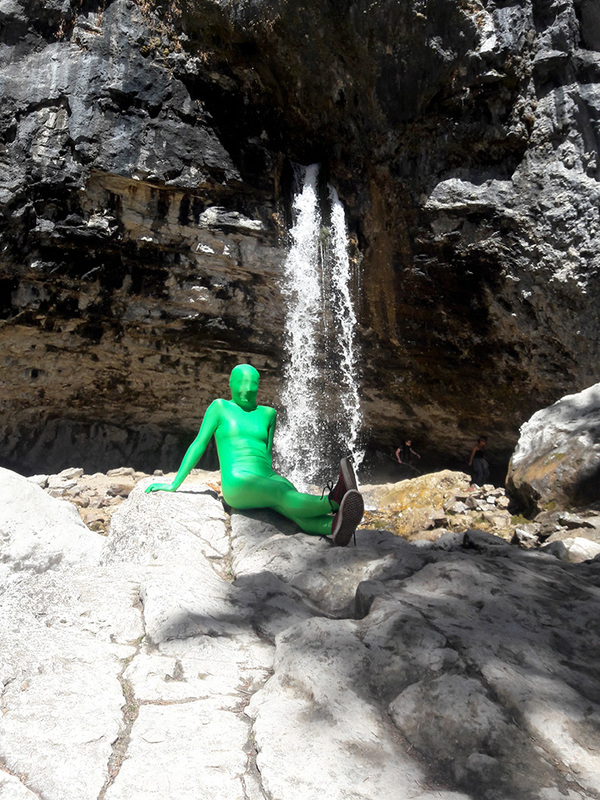 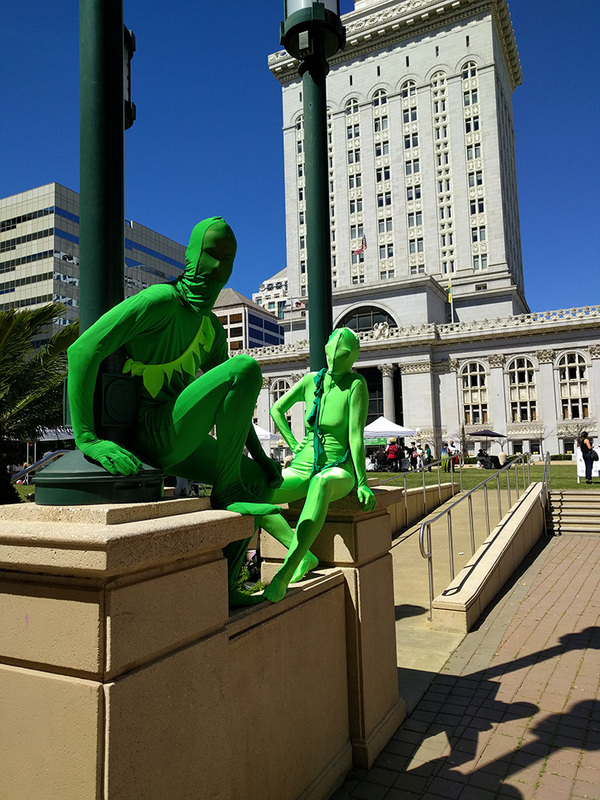 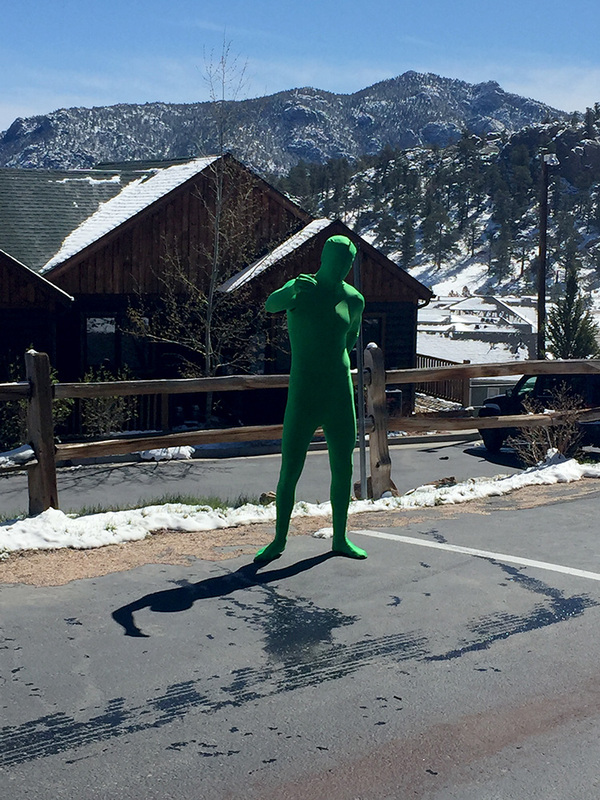 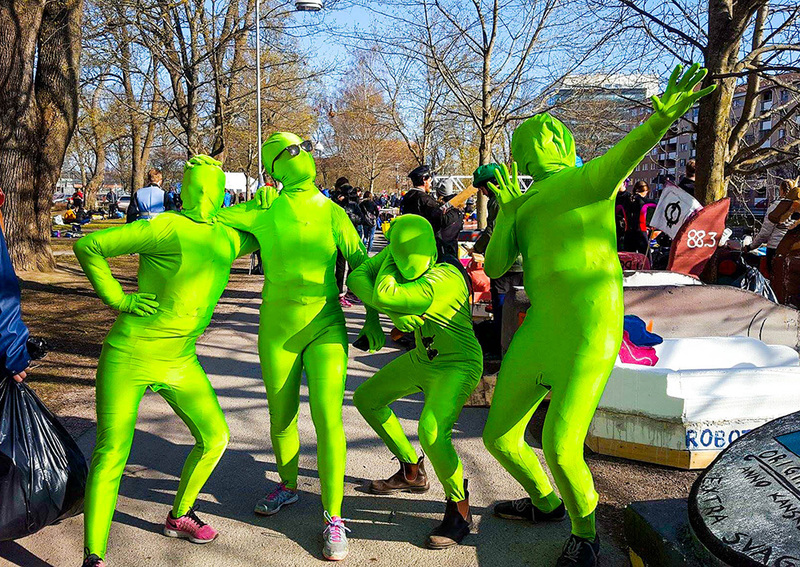 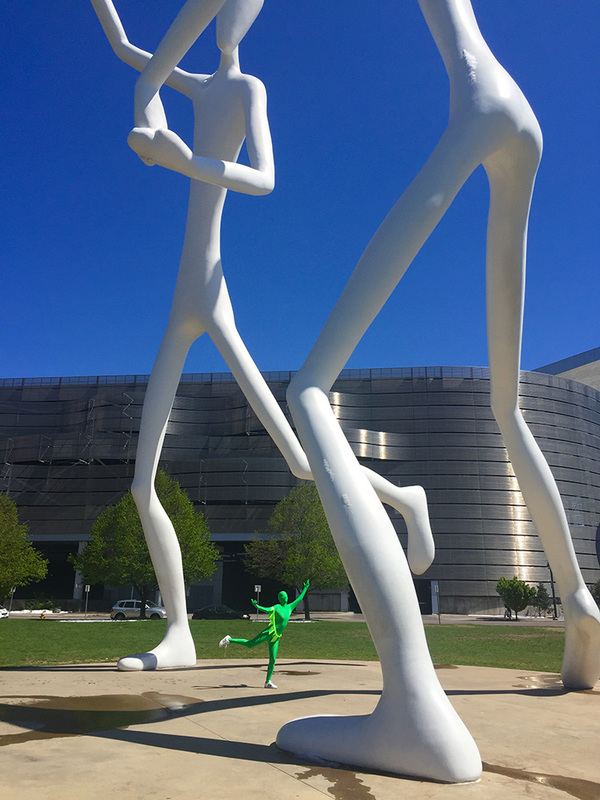 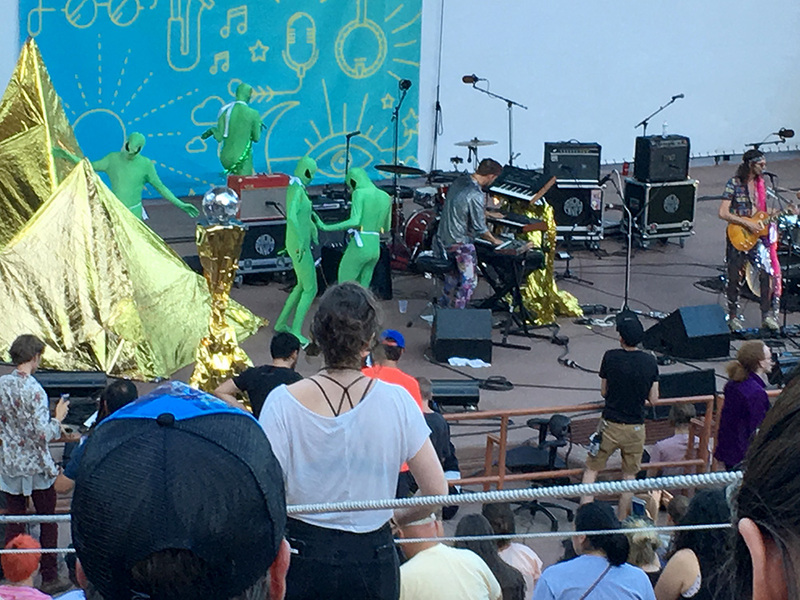 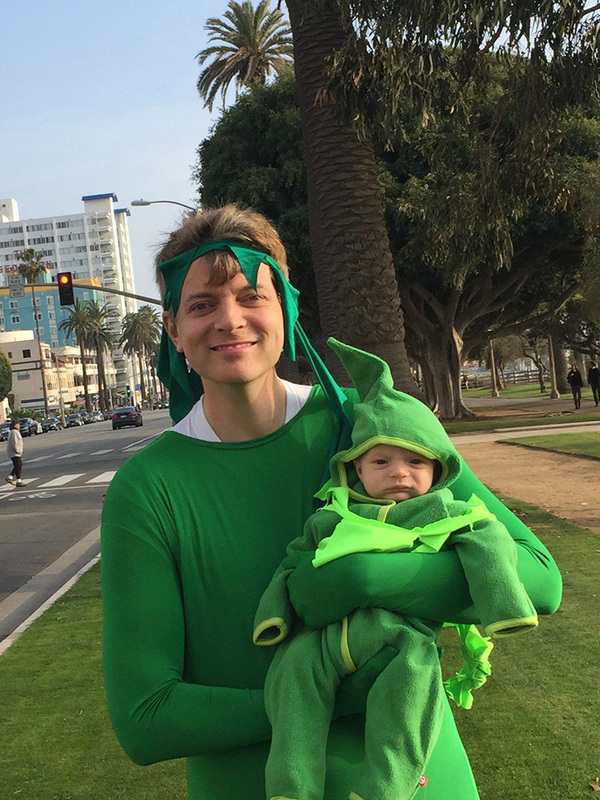 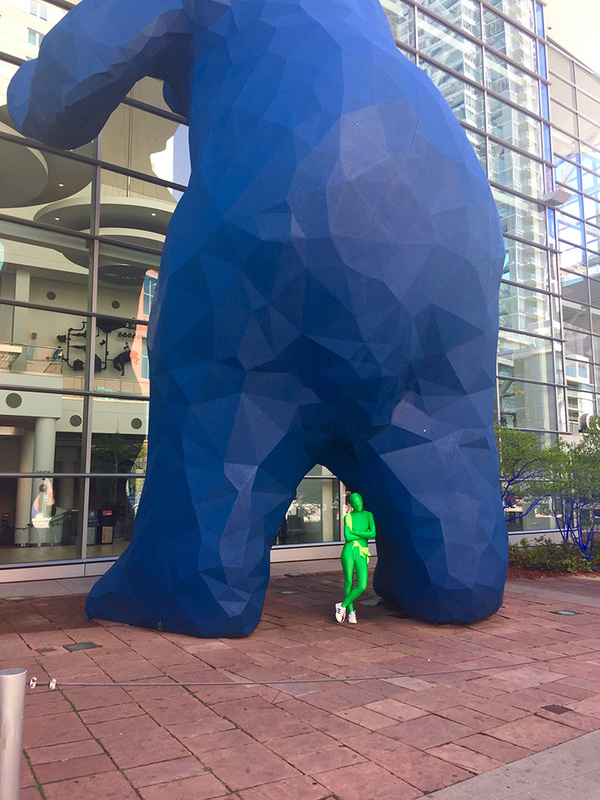 Participating students will set, create, and photograph scenes of sustainability in action including one or more students dressed in a green suit (see photo examples here). 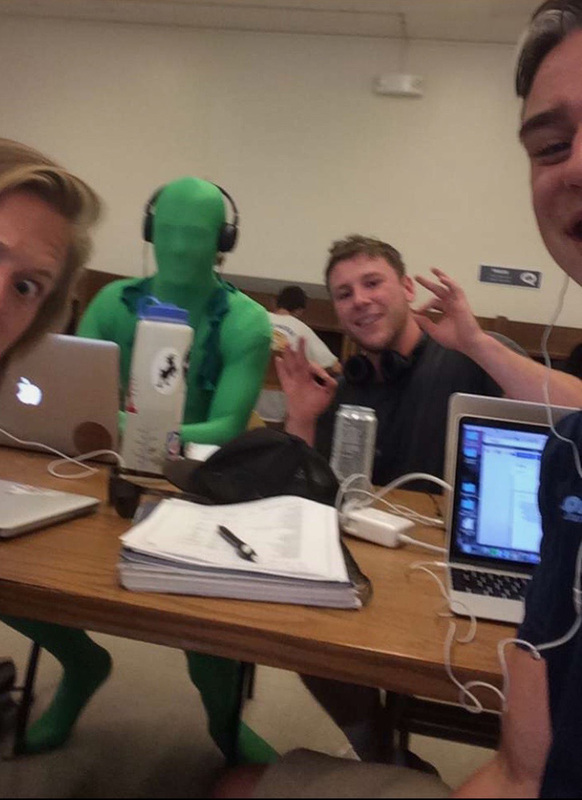 Students can work in teams or individually. 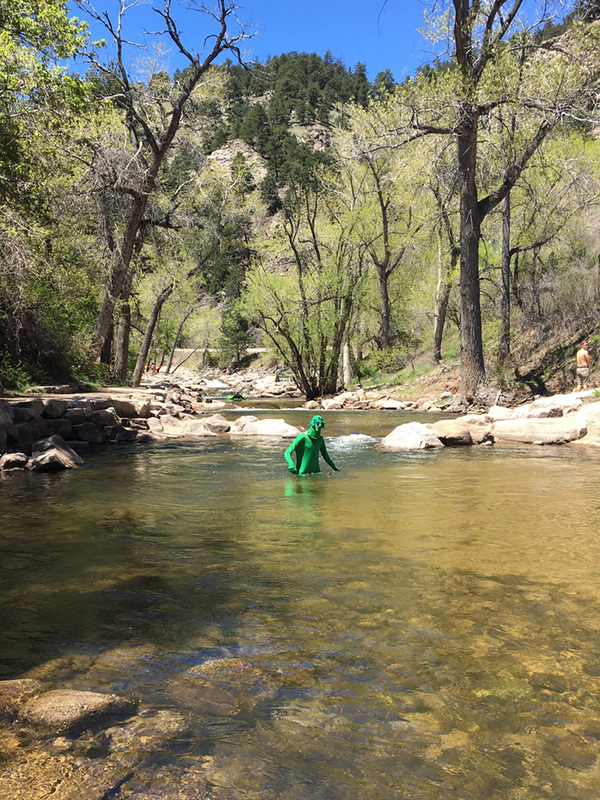 Each school will select up to 20 of its students’ best photographs and submit them to an outside jury of arts, science, and sustainability professionals. 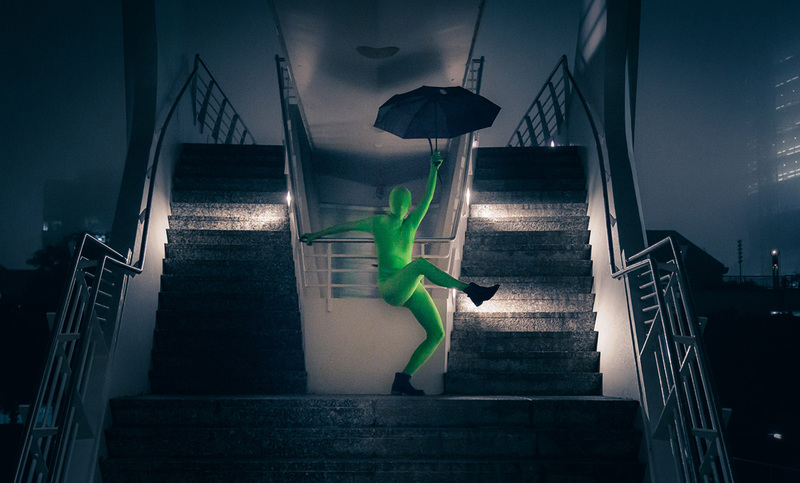 The jury will select the photos to be exhibited from all of the submissions. 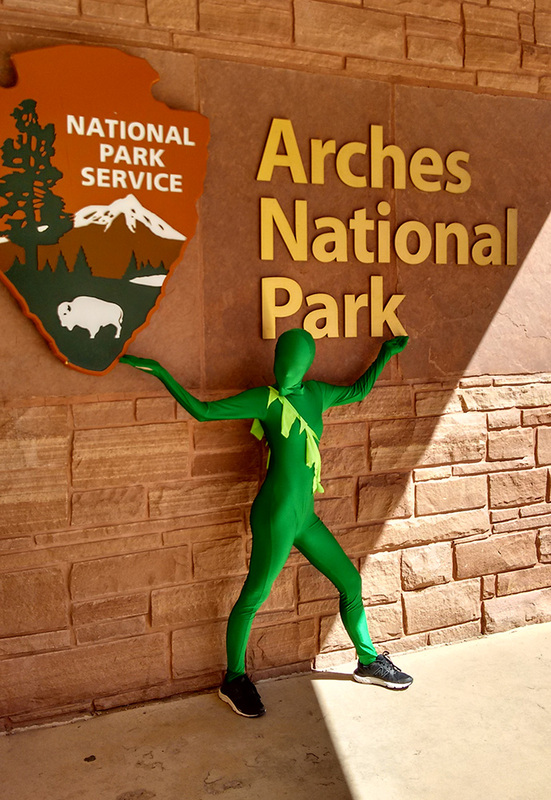 The photographs selected by the jury will be exhibited at the National Center for Atmospheric Research in the spring of 2019 and possibly at other venues. 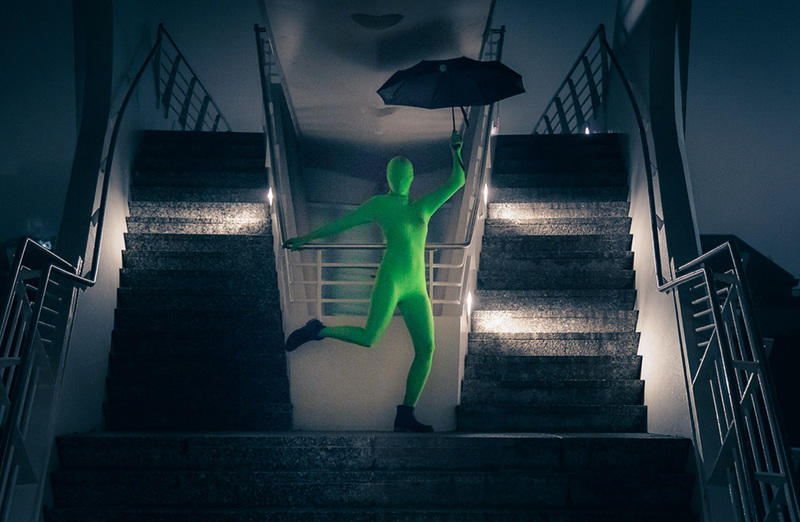 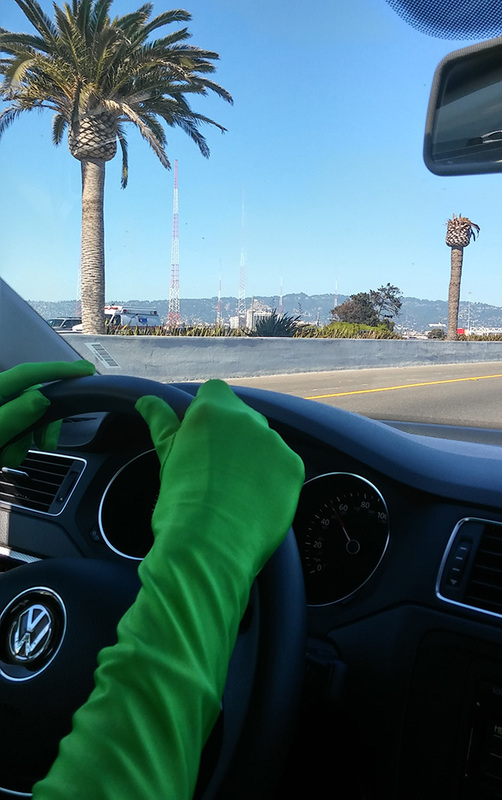 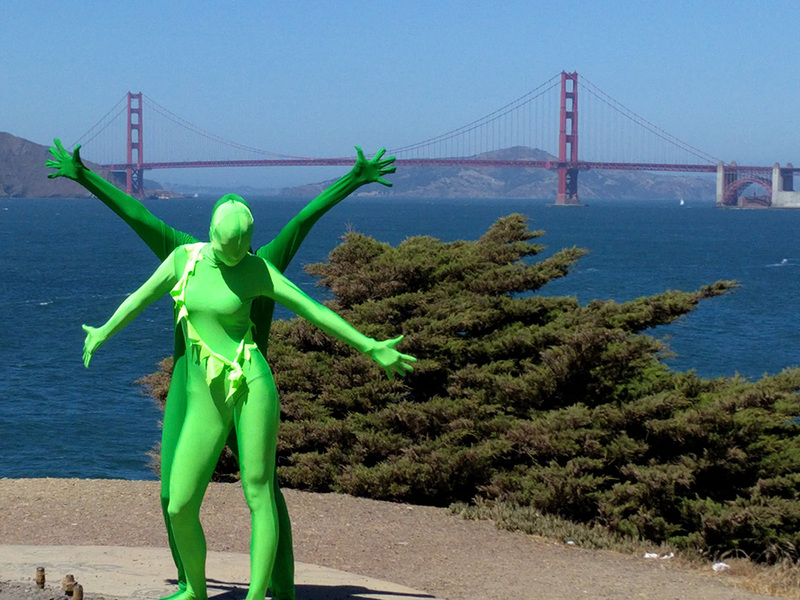 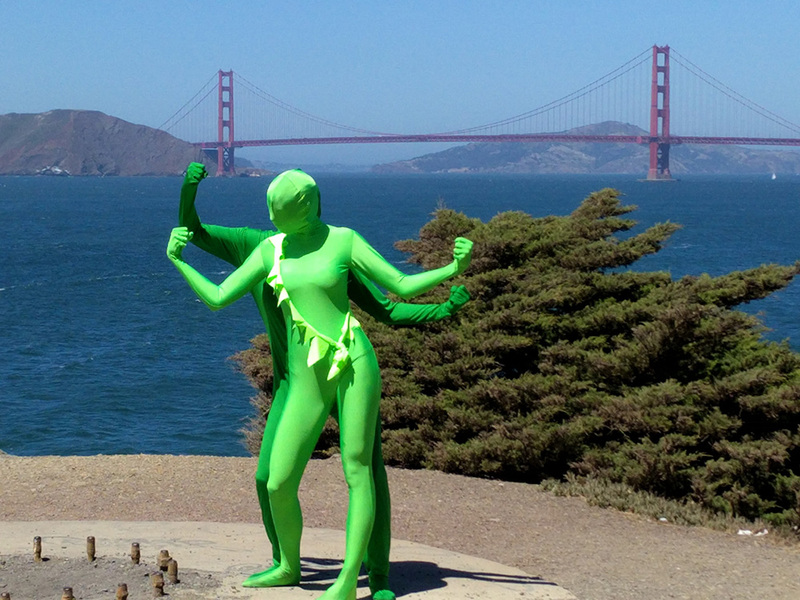 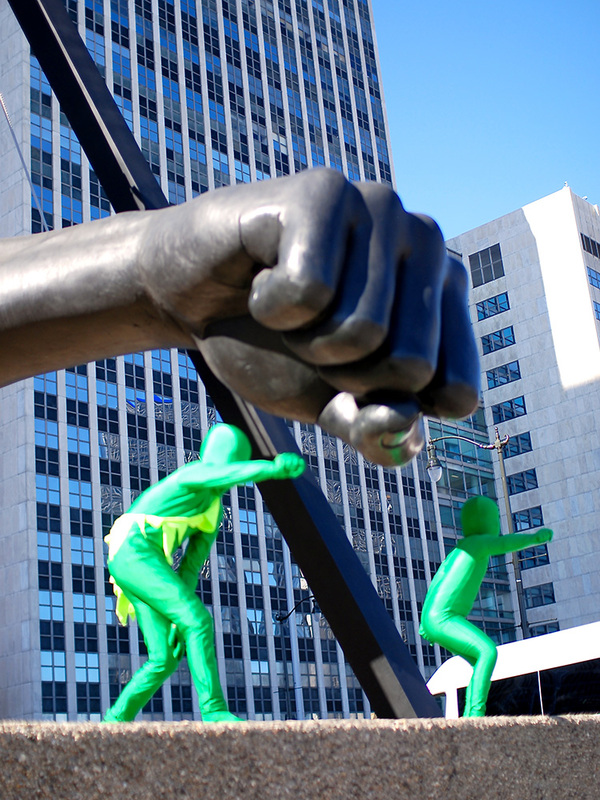 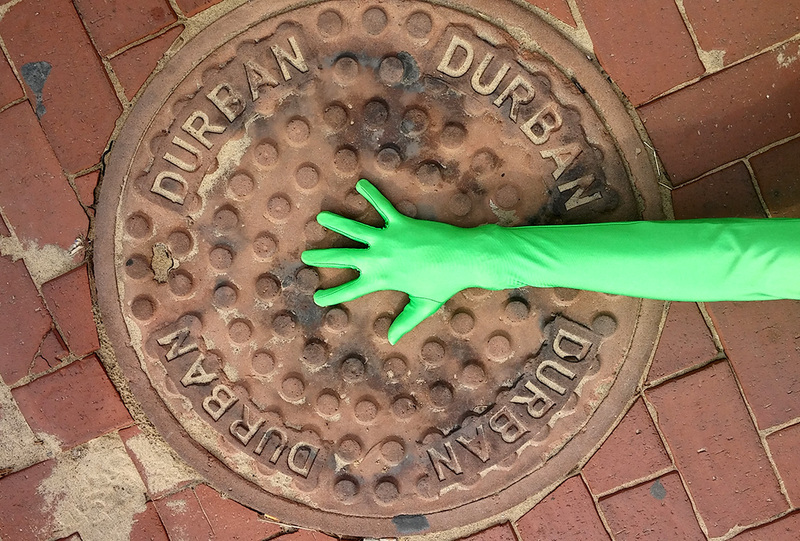 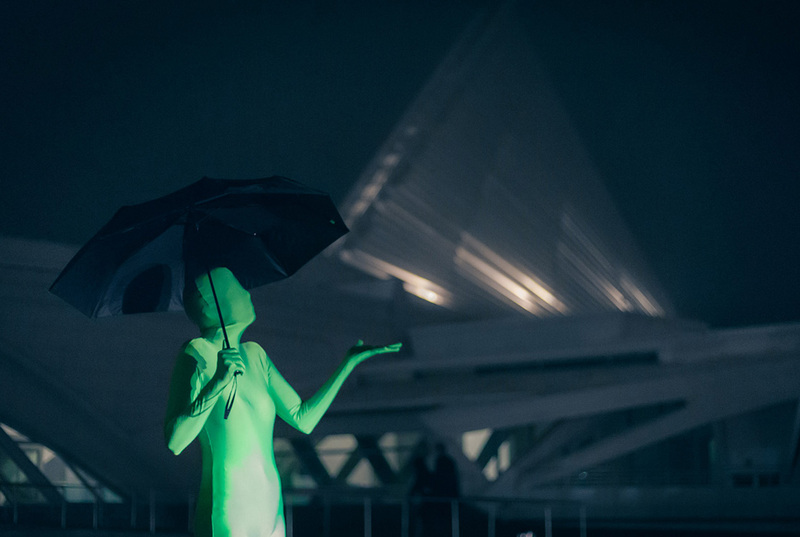 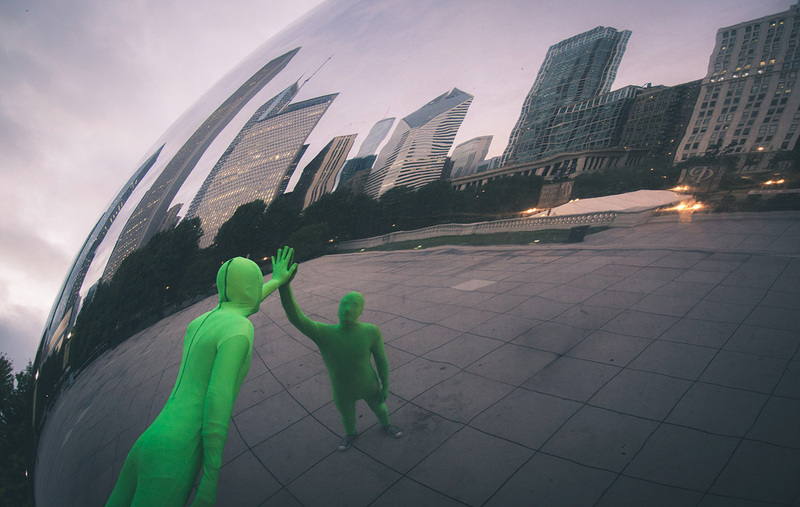 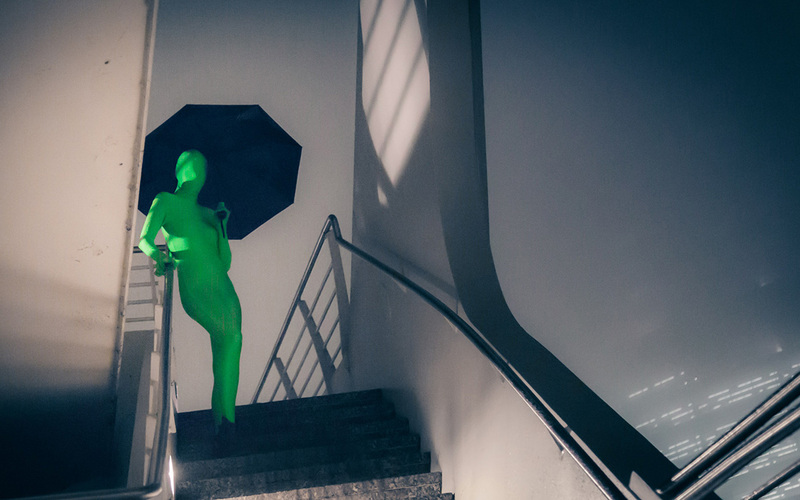 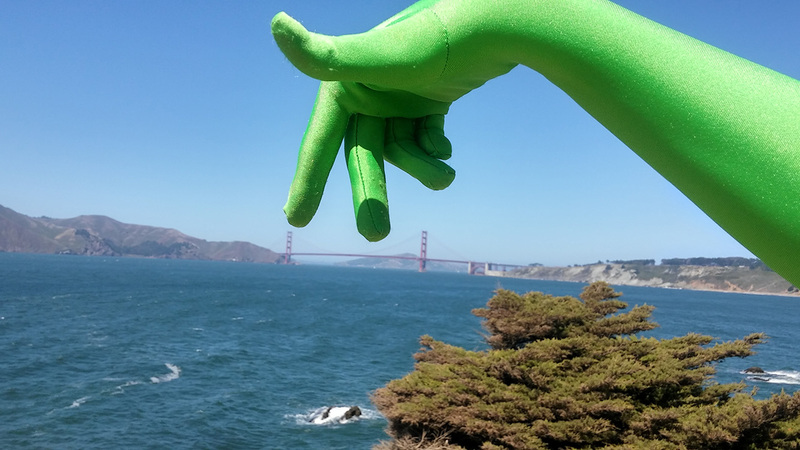 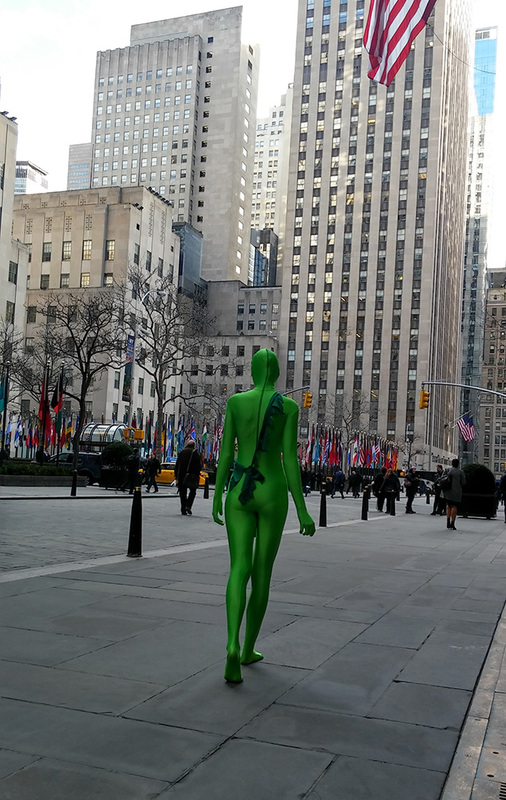 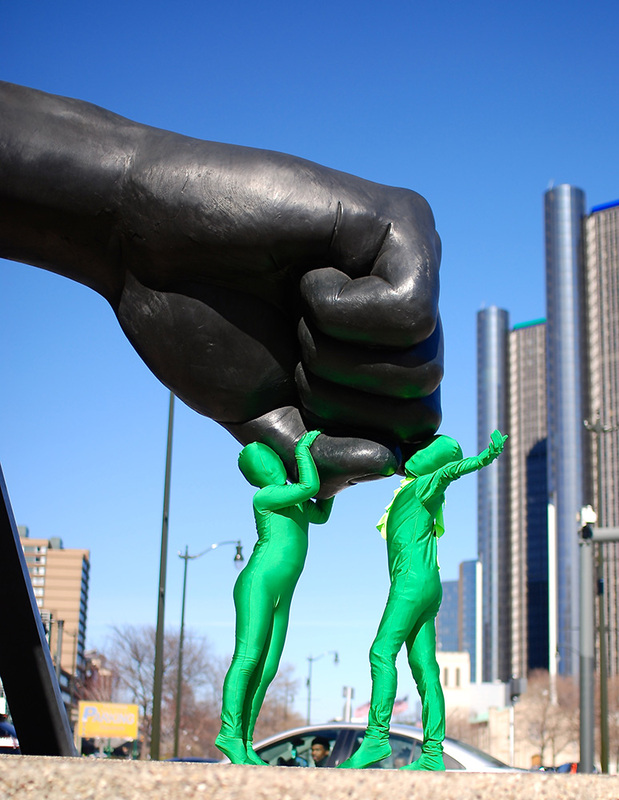 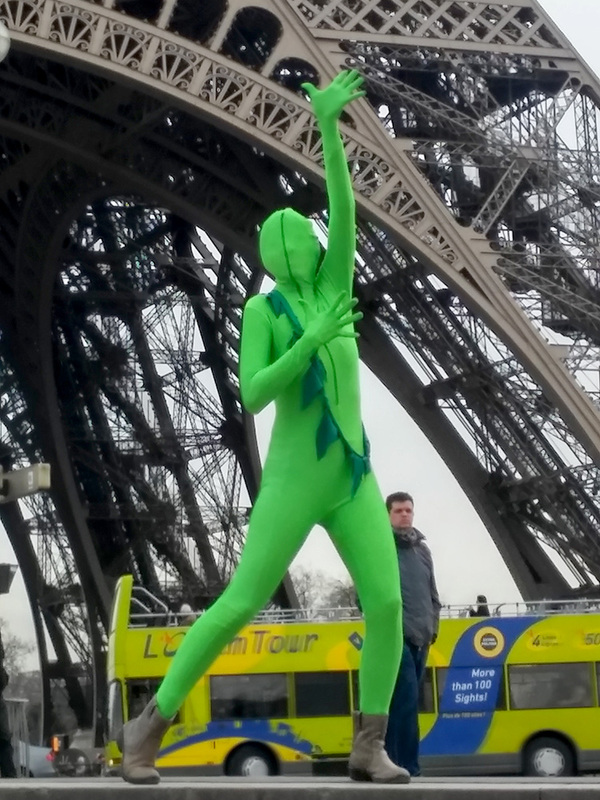 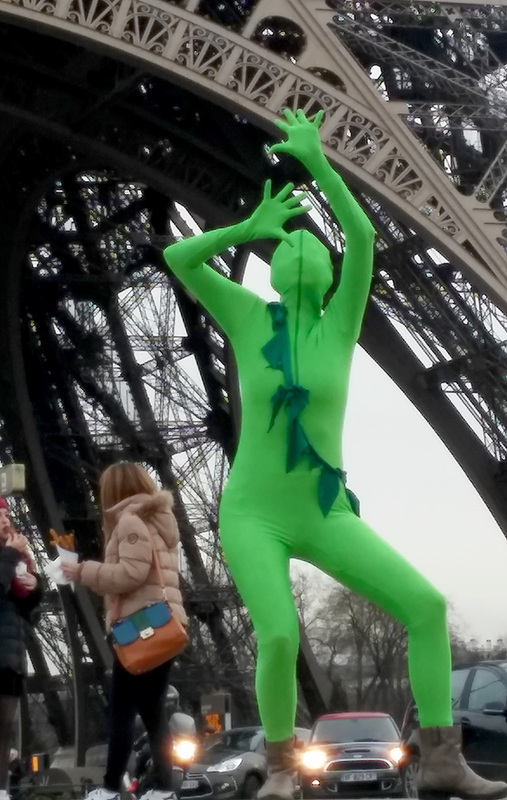 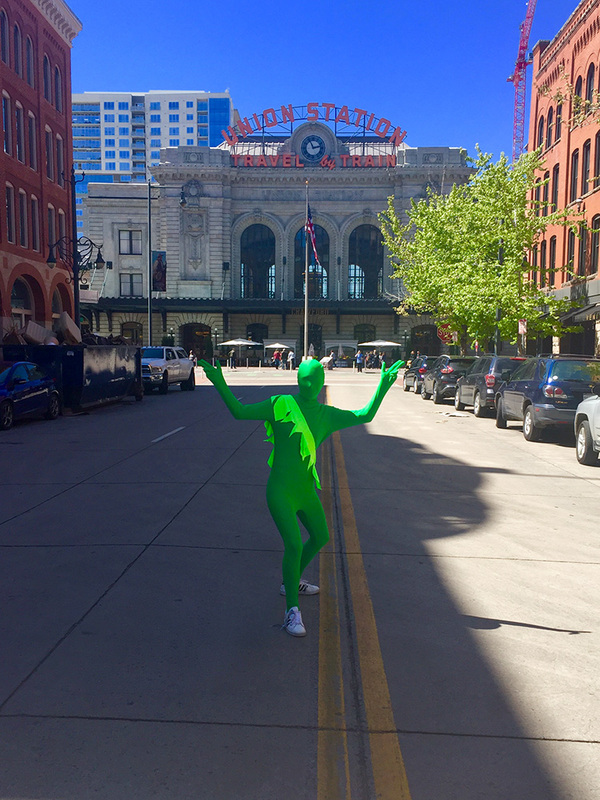 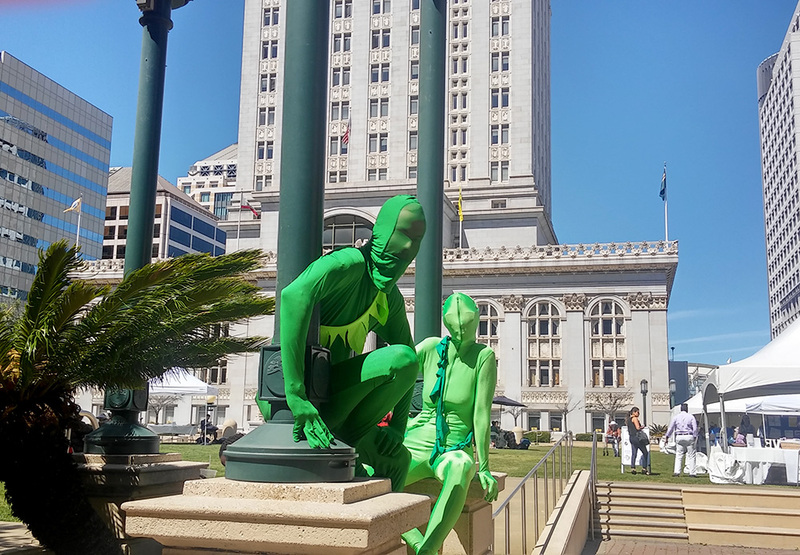 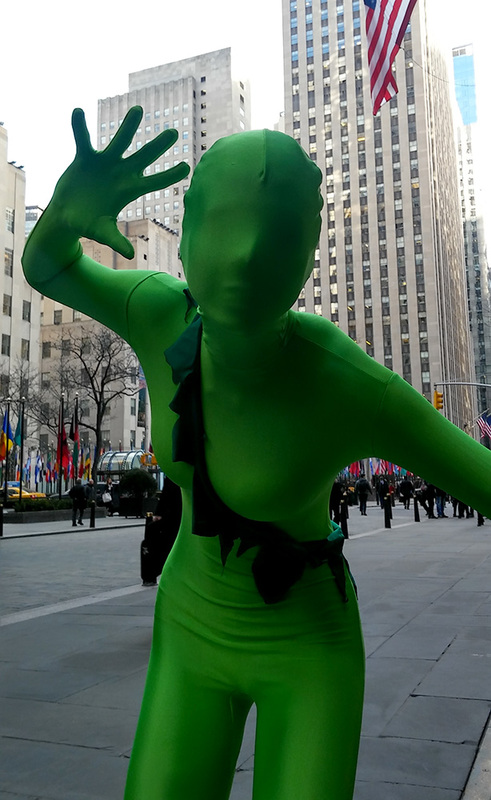 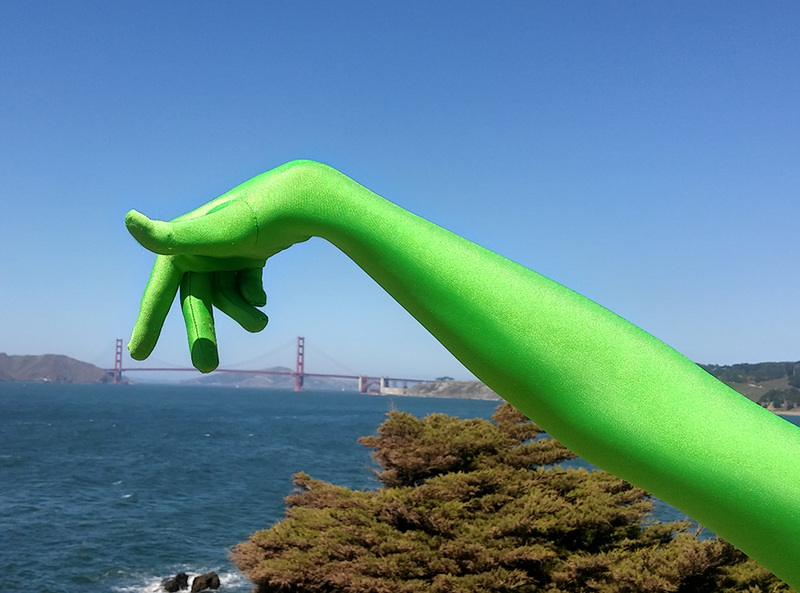 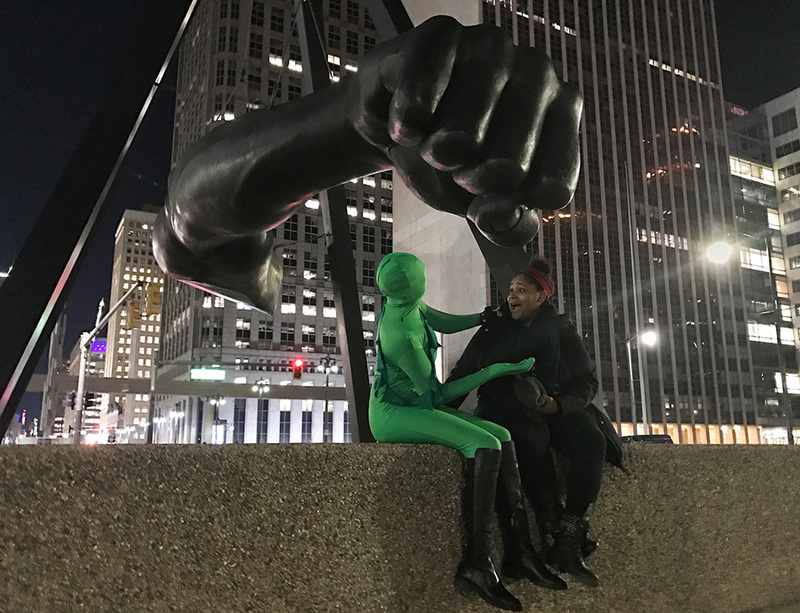 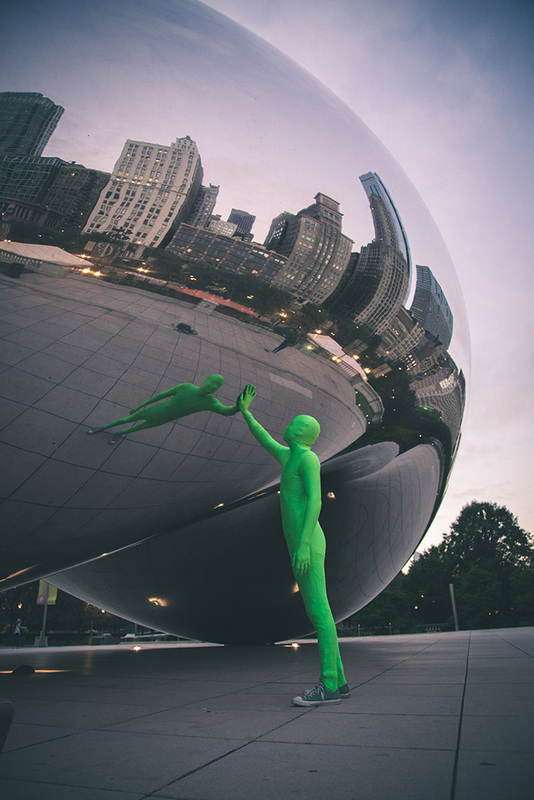 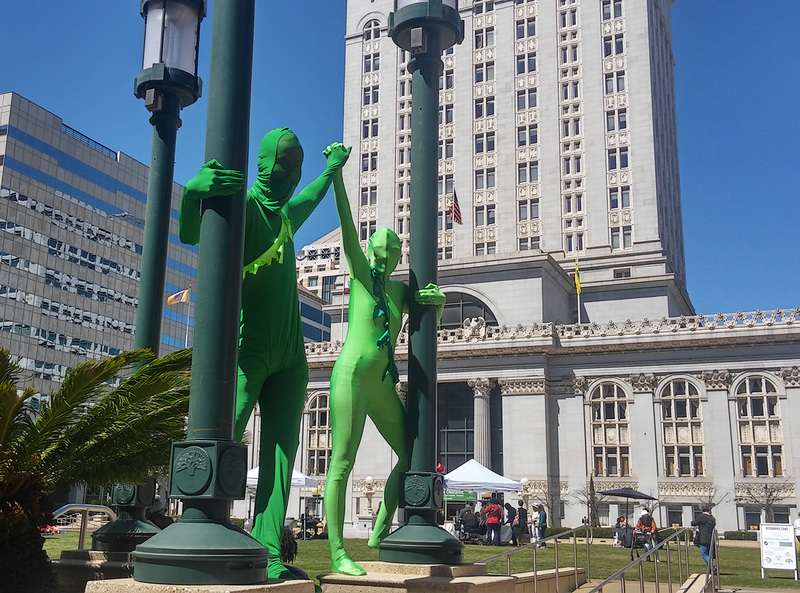 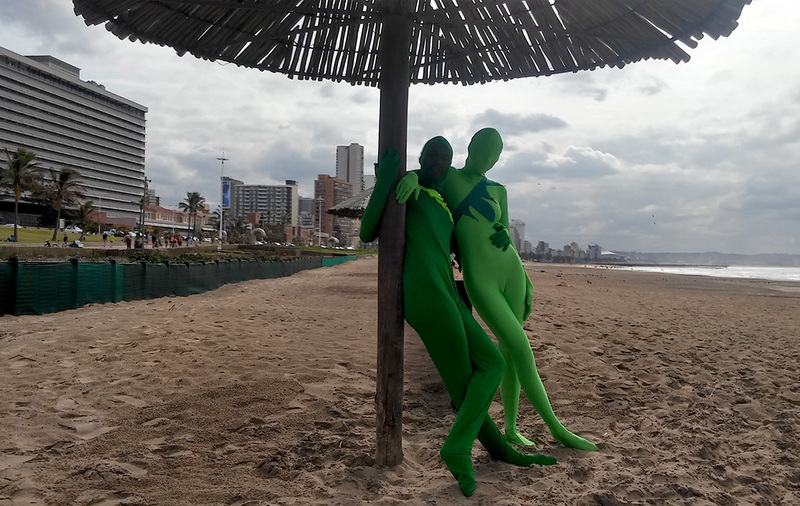 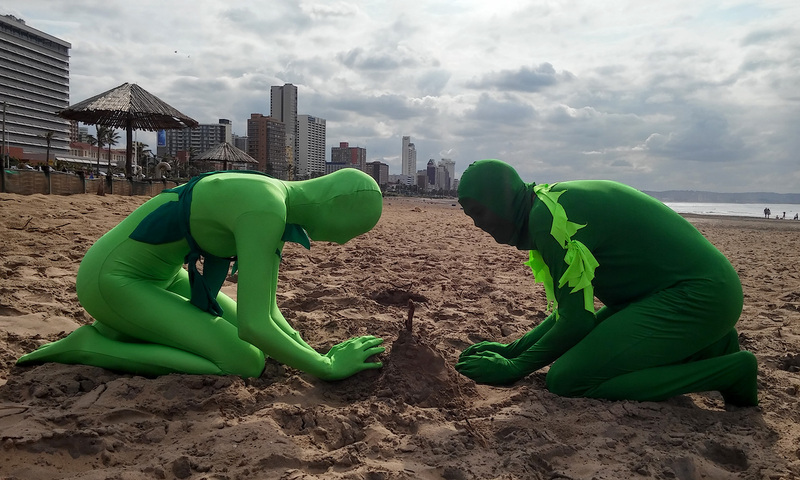 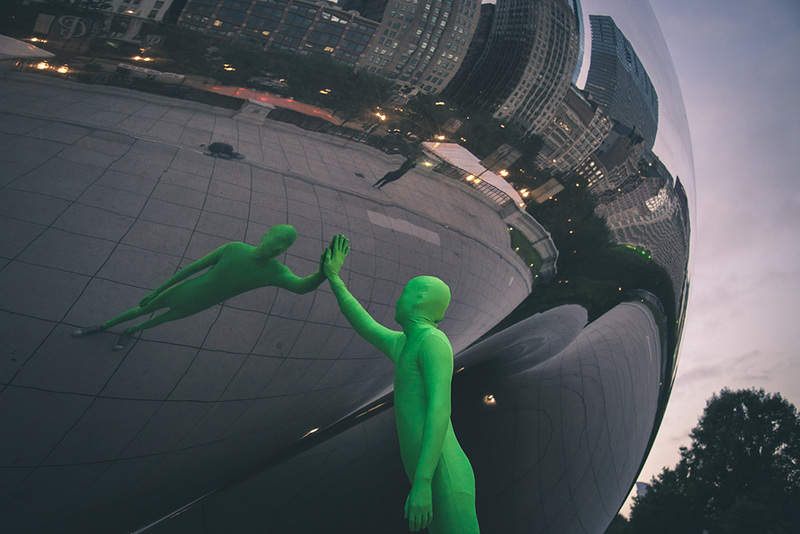 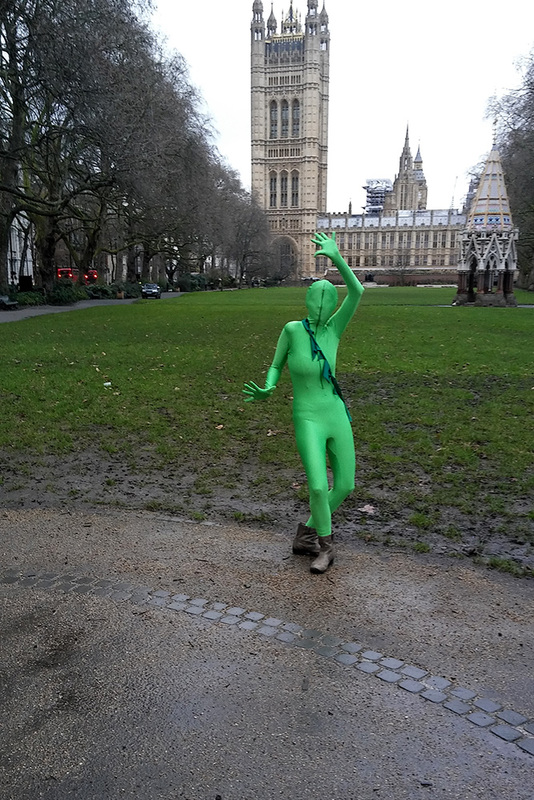 We invite you to join us in bypassing people's defenses to climate communication by donning a green suit in your city. 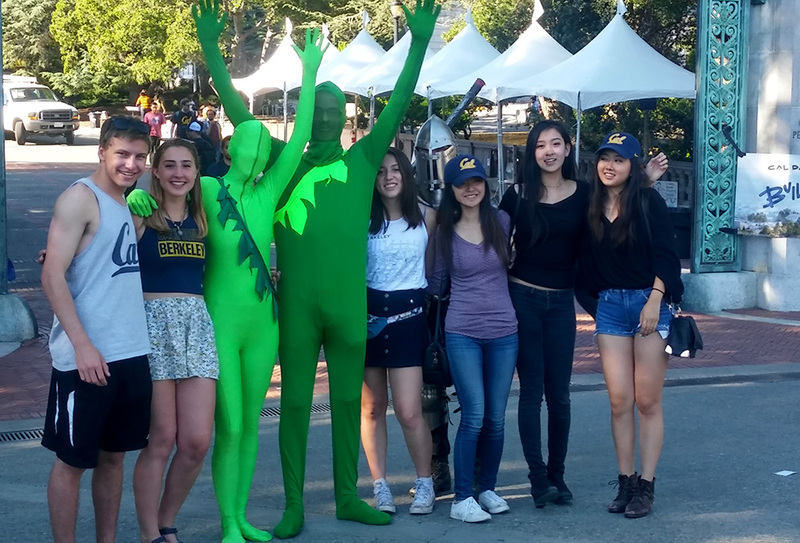 To submit your own photo please email a high resolution file (jpg or png) to Beth Osnes.